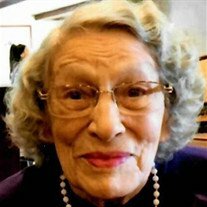 Louise E. Weimer, age 92, of McKeesport, died December 23, 2018. She was born in McKeesport on August 16, 1926 and is the daughter of the late Michael and Mary Chepuran Brletic, and wife of the late Edward Vincent Patrick Weimer, former McKeesport police officer. 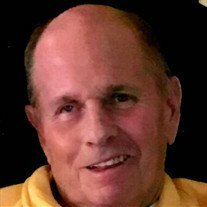 William C. Mayhugh, age 77, of Elizabeth Twp., passed away on Monday, December 31, 2018 at Monongahela Valley Hospital. An Army veteran during the Vietnam War, he was a retired steelworker at U.S. Steel Clairton Works and a member of Round Hill Presbyterian Church in Elizabeth Twp. 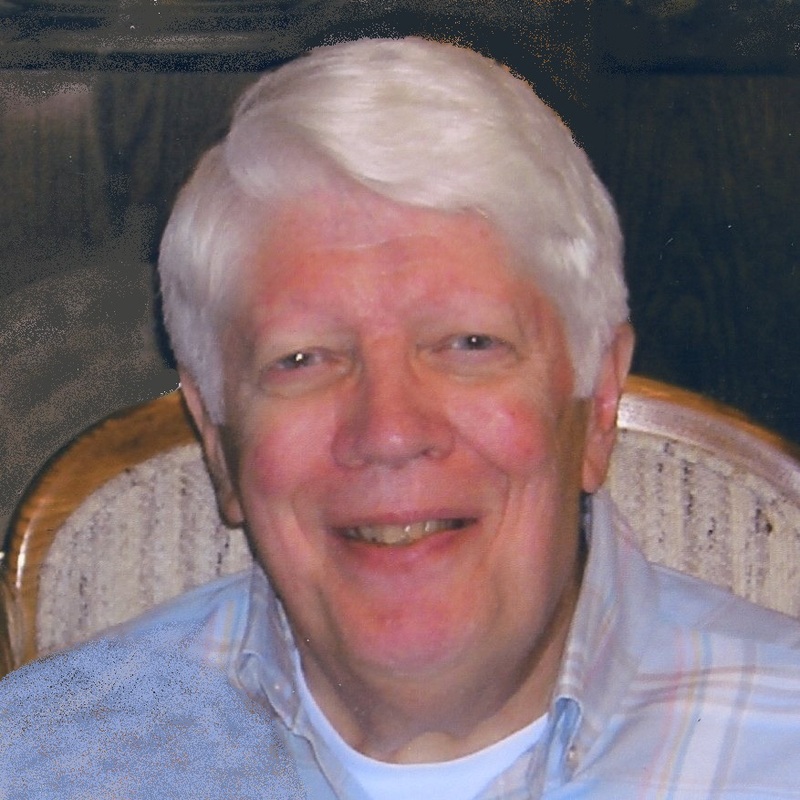 A devoted husband and grandfather, he enjoyed working on cars and model trains and relaxing on the back porch listening to music and enjoying life. Raymond Andrew Hvasta, 80, of Duquesne, died peacefully, Sunday, December 30, 2018 at Home. Born May 26, 1938, in Munhall, he was the son of the late Andrew and Helen (Repko) Hvasta. Mr. Hvasta was a retired U.S. Steel employee of the 100 inch mill, Homestead Works, an Usher in Holy Trinity Church, and a proud U.S. Air Force veteran.. He was the beloved husband of Virginia (Miller) Hvasta, he is also survived by a daughter, Valerie (Paul) Lyle; two sons, Vincent and Raymond (Theresa) Hvasta; two grandsons, Max and Jacob Hvasta; and two granddaughters, Katie and Emme Lyle. He was also preceded in death by a brother, Richard Hvasta. of North Huntingdon died Sunday December 30, 2018 at her home. Mark Lee Jordan, age 63, of McKeesport died on December 29, 2018. He was born in McKeesport on April 15, 1955 and is the son of James Joseph and the late Ardythe June Soult Jordan. He was the owner of Mark Jordan Auto Sales in McKeesport for many years. Douglas Keith Roberts, 64, of Manor, passed away unexpectedly on Tuesday, December 25, 2018. He was born January 15, 1954 in Pittsburgh, a son of late William and Virginia (Walder) Roberts. Doug was a 1971 graduate of Norwin High School where he was an all-star wrestler and was later inducted into the Norwin Hall of Fame. Prior to his retirement he was a member of the Operating Engineers Local 66. Doug will be remembered for his patience, good sense of humor, and quick wit. In addition to his parents, he was preceded in death by his brother Jeffrey; and father in-law Dennis Hearn. He is survived by his loving and devoted wife of over 40 years Gayle (Hearn) Roberts; the proud father of daughters Desha (Tony) Matthews of Greensburg and Kensee (William) Lusebrink of Irwin; granddaughters that were the joy of his life Reese and Rilynn Matthews; his brother Greg (Darlene) Roberts of North Huntingdon; his sister Barb Roberts of Ohio; mother in-law Janet Hearn; sisters in-law Sandy Jones, Debbie (Dale) Robinson, Kim (Jeff) Mayer, and Julie (John) Gurowski; and numerous nieces and nephews. Clifford E. Denton Jr., age 91, of North Versailles, formerly of Harrisburg, passed away Monday, December 24, 2018. He was born July 11, 1927 in New York City, a son of the late Clifford and Sharon (Fogarty) Denton. He served in the Marines during World War II and started his career in the newspaper business working for the New York Daily News. He was bureau chief for Stars and Stripes in Saigon during the Vietnam War and afterwards spent many years living in Japan. After retiring from the newspaper industry, he worked in the Department of Aging for the State of Pennsylvania. He loved sailing, playing the piano and sharing stories with friends and loved ones. William T. Snodgrass, 77, of North Huntingdon, died Wednesday December 26, 2018. He was born February 25, 1941 in Waynesburg, a son of the late Raymond E. and Erna (Morgan) Snodgrass and was also preceded in death by a brother Raymond “Eddie” Snodgrass. He is survived by his wife of 40 years, Kathy (Hughes) Snodgrass; three children, Allen (Beth) Snodgrass of Royersford, Susan (Mark) Petti of Margate City, NJ, and Jeremy (Julie) Snodgrass of Wilmington, NC; six beloved grandchildren, Bethany, Zachary, Morgan, Rachael, Jessica, and Jayden; and a sister Lovella Burns of Waynesburg. Bill was a 1959 graduate of Waynesburg High School and a 1963 graduate of Waynesburg College. He taught Science in the Penn Hills School district for 30 years, retired, and continued his teaching career at St. Colman School in Turtle Creek for 12 years. He was an avid wrestler in both high school and college and officiated wrestling in the WPIAL for many years. Louis Hutsko, age 81 of North Versailles passed on to his heavenly reward, surrounded by his family, on Friday, December 28, 2018. He was born March 13, 1937 in McKeesport, the son of the late Peter and Mary Agnes Tassone Hutsko, and is the husband of the late Lois Jean Duncan Hutsko. He was an electrician and worked for National Tube and then retired from Motor Coils Manufacturing in Braddock. He was a minister for The Church of Jesus Christ, Glassport, a member of United Steel Workers Local 1408, and the Renzie Seniors. He also enjoyed getting together with his long-time friends in the McKeesport area. His greatest joy was spending time with his children, grandchildren, and great-grandchildren. Louis is survived by his daughters, Susan (Donald) Romano of White Oak, Donna (the late Joseph) Prizner of North Versailles, son, Timothy Hutsko of Cranberry Twp. ; grandchildren, Jason (Kimberly), Ryan (Kristen), Natalie (Anthony), Joseph IV, Kelsie and Shon; great-grandchildren, Nicholas, Piper Leia, Katalina, Aurora “Rory”; brother, Peter (Jolene) Hutsko, Jr. of Ocala, Florida. Mark Johnston Guffey, Sr., age 59, of Greensburg, formerly of White Oak, died Thursday, December 27, 2018. He was born in McKeesport on October 6, 1959 and is the son of Ann Johnston of North Huntingdon and Earle (Dee) Guffey of Naples, Florida. He is a 1978 graduate of McKeesport Area School District and a very proud alumni of Penn State University. He was a season ticket holder of the Pittsburgh Steelers and was a co-owner of Johnston the Florist. In his spare time, he enjoyed water and snow skiing, riding motorcycles, and keeping acres and acres of grass manicured like a golf course. John C. Sowa, age 91, of White Oak, died December 28, 2018, at his home. Born October 7, 1927, in McKeesport, he was the son of the late Mitro and Emilia (Volota) Sowa. Shanon Edward Davis "Doo Man" Williams, age 23, of McKeesport, died December 23, 2018, in Homewood. Born March 20, 1995, in McKeesport, he was the son of the late Washie Davis Williams, III and Sharyl L. Vavra. 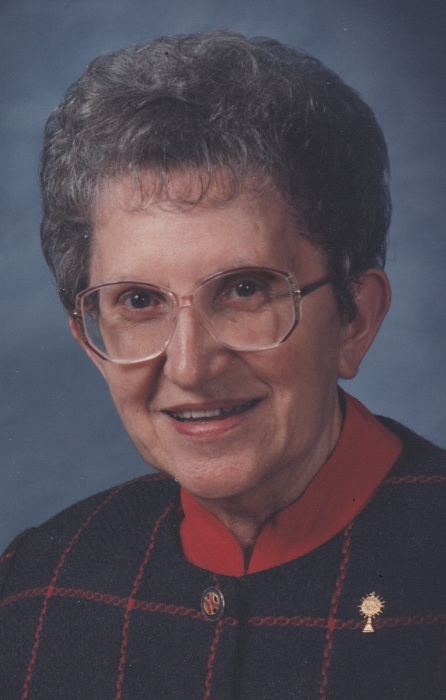 Lois J. Nirschel, age 87, of Pittsburgh, formerly of Mount Washington, died December 21, 2018, at Reformed Presbyterian Home. Born August 15, 1931, in Pittsburgh, she was a daughter of the late Roy and Anna (McGrath) Baxendell and the wife of the late Carl X. Nirschel. Katherine E. “Cassie” Johnson, age 96, of Lincoln Borough, passed away peacefully at home and went home to be with the Lord on Monday, December 24, 2018. As a retired employee of the South Hills Health System/Jefferson Hospital, and as one of the original Girl Scout leaders in Lincoln Borough, she was loved by many. She was a member of Elizabeth United Methodist Church, a former member of the Lincoln Borough Mother’s Club, and was a Navy Wave veteran of World War II. She was an avid gardener and nature lover. Evelyn Gloria Miller, 87, of Buena Vista, passed away Thursday, December 27, 2018. She was born May 25, 1931 in McKeesport and was the daughter of the late Steven and Mary (Toth) Martonyak. She was the wife of the late Ralph A. Miller, who passed away November 7, 2014. They were married for 63 years. Evelyn was a member of the former Holy Trinity Church in McKeesport. She loved to cook and bake and was a great 10 pin bowler. She was an avid card player, enjoying poker and pinochle. She also enjoyed Bingo and Pittsburgh Penguins Hockey. 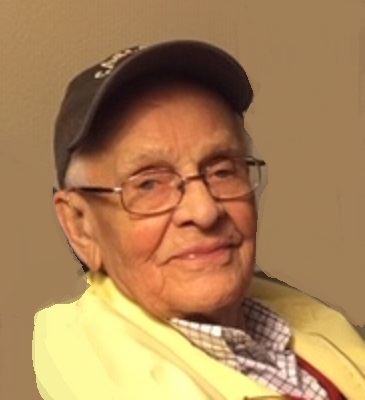 CHARLES D. "JAKE" BARNES age 97 of West Mifflin on December 26, 2018 at home. He was a son of the late Charles C. and Laura (Watkins) Barnes. Jake was retired from US Steel Homestead Works, 100 inch mill with 40 years service. He was a member of St. Agnes Church, West Mifflin. He enjoyed tinkering, gardening and going to flea markets. Jake was a very humble person and believed in treating everyone as he would like to be treated. He proudly served his country in the Army Air Corp. during WWII. Beloved husband of the late Susan "Sue" (Manns) Barnes for 70 years; father of Terry L. (Doris) Barnes of Findlay, OH, Sandy (late Paul) Mancini of Kinsman, OH, Dorsey (Tom) Solich of Howland, OH, Carol (Jim) Howard of West Mifflin, Sheryl (Ed) Eichenlaub of Bethel Park and Sue Muha of West Mifflin; also 16 grandchildren and 13 great-grandchildren; brother of Lois Jean (the late Russ) Hunter of Union City, PA, the late Robert (late Rita) Barnes, late Lewis (late Kathleen) Barnes and the late Virginia Barnes. Visitation on Friday, December 28, 2018 from 3-8 p.m. and Saturday 10:30 a.m. - noon at the MALOY-SCHLEIFER FUNERAL HOME, 915 Kennedy Ave., Duquesne, PA 412-466-3300 where his funeral services will be held at noon. Burial will be in St. Joseph Cemetery, West Mifflin with military honors. In lieu of flowers, memorial contributions may be made to one's favorite charity. 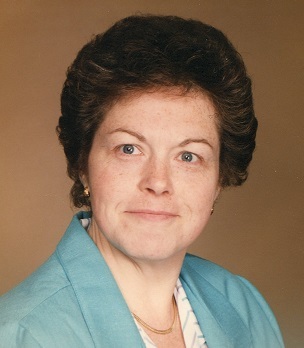 SHEILA H. (HOLAHAN) HAMAR age 85 of West Mifflin on December 27, 2018 She was a daughter of the late John and Mary (White) Holahan; Sheila was a member of Sts. Peter and Paul Byzantine Catholic Church and was a member of St. Francis Academy Alumni Association and a member of the Riverview Mothers Club. She was the beloved wife of the late Robert J. "Chip" Hamar for 49 years; mother of Maureen (Dr. Thomas) Reilly of Mooresville, NC, Roberta (Donald) Baker of Dormont, Sandra Hamar of Brentwood, James R. Hamar of West Mifflin, Judith Hamar of West Mifflin, John H. (Rebecca) Hamar of Baldwin, Jospeh A. (Sherri) Hamar of West Mifflin, Eugene A. (Dee) Hamar of West Mifflin, Jeffrey (Laurie) Hamar of Brackney, PA, Sheila (Chris) Radovic of West Mifflin, Patricia (Earl) Anderson of Seattle, WA and Karen (Skip) Williams of West Mifflin; also 15 grandchildren; sister of Judith Holahan of Mt. Lebanon and the late Maureen (late Eugene) Dibble. Visitation on Friday, December 28, 2018 from 2:-30 -4:30 p.m. and 5:30 - 8 p.m., at the MALOY-SCHLEIFER FUNERAL HOME, 915 Kennedy Ave., Duquesne 412-466-3300 where a Panahida service will be held on Saturday, 9 a.m., in the funeral home. Followed by Office of Christian Burial at 9:30 at Sts. Peter and Paul Byzantine Catholic Church, Duquesne. Rev. John Cuccaro officiating. Burial will be in the Parish Cemetery. In lieu of flowers, memorial contributions may be made to St. Jude Research Hospital. Lloyd A. Huston, 93, of Elizabeth Township, passed away peacefully on Wednesday, December 26, 2018. He was born May 13, 1925 in Kokomo, IN, and was the son of the late Leroy Rex and Lola (DeWitt) Huston. He was the husband of the late Evalyn Lucille (Rose) Huston who passed away September 30, 2015. He attended Round Hill Presbyterian Church and was a member of the Elizabeth Forward Community Chorus. He was also a member of a Barbershop Chorus in Ohio. He is survived by nieces and nephews. Kathy M. Nicholson, age 72, of Dravosburg, died December 27, 2018, at home. Born December 3, 1946, in McKeesport, she was the daughter of the late Albert and Gertrude (Denne) Laban and the wife of Bruce A. Nicholson, for 44 years. Robert Sago, 77, of Corvallis, Montana passed away on December 20, 2018 at Marcus Daly Hospice. He was born on January 31, 1941 in McKeesport, Pennsylvania to Edward George and Julia Anchak Sago. Bob was most likely known through his employment at the local feed store. He started when it was known as Peavey, then it became Lake Milling before it became Lakeland Feed. To his customers, he was affectionately known as “Big Bob” or “Chicken Bob”. It did not seem to matter if you were in the market for chicks, he seemed to convince you that you needed a dozen or more by the time you left. Bob also loved hunting and fishing with his son Ed and his grandson Kaleb. He enjoyed classic Mopars and attending car shows in the Spokane Valley. He also enjoyed sitting in the garden watering his plants. Robert is preceded in death by his parents and daughter Roberta Sago. Robert is survived by his wife Dolores, daughter Rebecca, son Ed, grandson Kaleb (Brittany), great granddaughter Lennon and great grandson Matthew. James H. "Jim" Ramsey, Jr.
James Herrington "Jim" Ramsey, Jr., 78, of Boston, passed away Tuesday, December 25, 2018. He was born September 8, 1940 in Braddock and was the son of the late James Herrington Ramsey Sr. and Virginia Appell Ramsey. Jim was a graduate of PIA and loved planes, going for walks at Mingo Creek Park and small game hunting with his brother, Duke. He worked for the former Mackintosh Hemphill Company for many years and would later retire from the produce department at Giant Eagle at the Homestead Waterfront. Jim was an avid shooter and a proud NRA Benefactor and a member of the Clairton Sportsman Club. He was also an assistant scout master with boy scout troop 99, a former Elder in The Buena Vista Presbyterian Church, the first assistant Chief of the former Boston Vol. Fire Co, as well as fire police for Elizabeth Township, and a life member of the Greenock Vol. Fire Co.
Edward J. Werner, age 47, of McKeesport, formerly of Pittsburgh, died December 20, 2018, at home. Born March 10, 1971, in Pittsburgh, he was the son of the late Edward Karl and Gilberta Ann (Young) Werner and the husband of Danielle (Templeton) Werner. Chester R. Iwanowski, 98, died Sunday December 23, 2018. He was the son of the late Raymond and Martha (Pater) Iwanowski and beloved husband of the late Margaret Petro. He is survived by brother Joseph (Mary Anne) Iwanowski; sister Barbara "Babe" (Robert) Yanosko; dear friend and companion Vi Mihalich; and many nieces and nephews. He was preceded in death by son Ronald; brothers Edward, Bob, and Raymond; and sisters Edna, Gertie, Louise and Dolores. Chester was a member of Queen of the Rosary Parish and was an avid bowler and semi-pro catcher. Friends received Friday 4-8pm at the Wojciechowski Funeral Home, Glassport. A funeral mass will be held Saturday 10am at Queen of the Rosary Parish with Father Miroslaus Wojcicki. In lieu of flowers donations can be made to the Gallagher Foundation 1370 Washington Pike Suite 401B Bridgeville PA 15017. 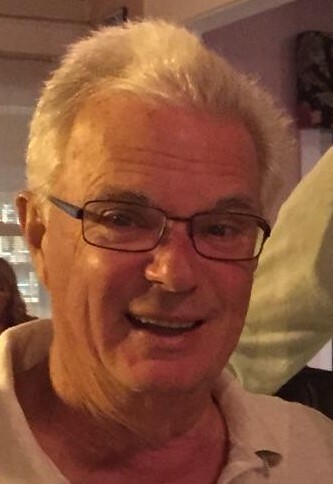 ROBERT G. "BOBBY" ESTOK age 67, of West Mifflin, on December 22, 2018, at home. Bobby was a son of Margaret (Prokay) Estok of West Mifflin and the late George Estok. He was a retired craneman from U.S. Steel Irvin Works and a member of St. Joseph Church, Duquesne. He enjoyed reading, photography, music, and golf. He proudly served his country in the Army during the Vietnam war. Besides his mother, he is survived by his brother, Kenneth (Ann) Estok of Dravosburg; uncle of Andrew (girlfriend, Robin Ferko) Estok of Munhall and Christian Estok at home; also numerous cousins. Visitation on Friday, December 28, 2018 from 11 a.m. to 1 p.m. at the MALOY-SCHLEIFER FUNERAL HOME, 915 Kennedy Ave., Duquesne, (412) 466-3300, where his blessing service will be held at 1 p.m., Rev. Thomas Lewandowski officiating. Burial will be at St Joseph Cemetery, West Mifflin with military honors. Joseph Anthony Stinson, 85, of Christy Park, passed away peacefully at home on Monday, December 24, 2018. He was born January 18, 1933 in Dravosburg and was the son of the late Raymond and Geniveve (Redding) Stinson. He was the loving husband of the late Charlane M. (Fritz) Stinson who passed away December 31, 1998. He was a member of Corpus Christi Parish and the Holy Name Society there. He was also a member of White Oak American Legion Post 701. Joseph was a US Army Veteran and served during the Korean War. He was retired from US Steel Clairton Works. He is survived by his daughters, JoAnn (Gary Traczynski) Stinson of McKeesport, Monica (Rob Weimer of White Oak) Kushner of Port Vue, Susan (Robert) Rajcsok of White Oak and Colleen (Gerard) Whitney of North Huntingdon, grandchildren, Joseph Stinson, Katie (Conny) Molander, Alex Rajcsok, Kevin (Nicole Elias) Kushner, Shannon Mosqueda, Rachel Rajcsok, Sara Stinson, and Shain Mosqueda, great-grandchildren, Jayce, Caleb, Sophia, and Owen, sister, Mary Schmidt of Level Green, and nieces and nephews. 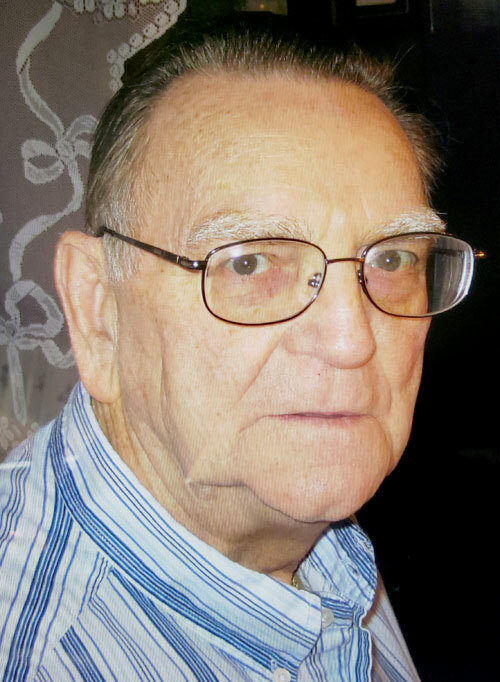 Walter S. Miller, 90, of McKeesport, died Monday, December 24, 2018 at Manor Care of Peters Township. Born in Greensburg, September 13, 1928, he was the son of the late Emerson and Florence Swauger Miller. Husband of the late Clara A. Lazar Miller, he is survived by his daughters, Clara A. Miller of McKeesport and Donna (Don) Kovac of Hickory, PA, 3 grandchildren, 2 great granddaughters, sisters, Dorothy Lesawsky and Callie Boyle, and his brother, Russell Miller. He was preceded in death by sisters Margaret Derkas and Rachel McWilliams. 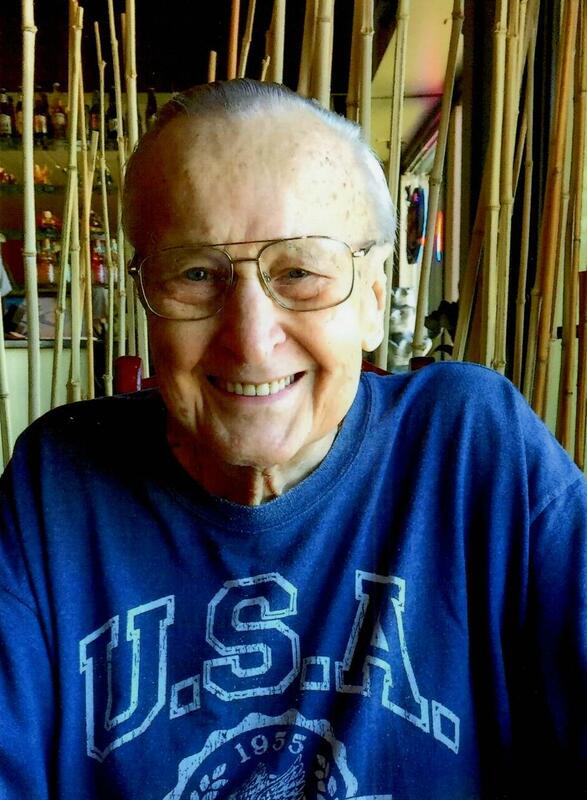 He was a baker at the former Balsamo’s and the former Guentert’s Bakery in Braddock, was a former member of St. Peter’s Church and the 11th Ward Club, and was a US Army veteran of the Korean War. A memorial service will be held Saturday, December 29, 2018 at 11:00 AM in the Hunter Funeral Home, Inc., 1600 Coursin Street, McKeesport, PA 15132. Private interment will take place in McKeesport and Versailles Cemetery. Jeremy R. Baker, 36, of Clairton passed away on December 23, 2018 at home. He was born July 7, 1982 in Greenville, PA to Gary and the late Ellen Baker. Jeremy worked as a truck driver for Waste Management. Jeremy is survived by his wife Nicole (Sopko) Baker; children Katrina, Jeremiah, Alaina Baker; his father Gary Baker Sr. of Meadville; brothers Mike Mumford of Cochranton, PA and Jason Baker of Kuwait; mother in law Marie Sopko of Clairton; Aunts Rebecca Shoemaker and Amy Garbart. Services for Jeremy will be private. Memorials may be made to the Jeremy R. Baker Family Fund in care of “Go Fund Me”. Last year, 133,983 people used Tube City Almanac's obituaries page. That's an increase of 9 percent over the previous year. According to Google, which tracks the site's usage, about 20 to 25 percent of you are regular users of the service. If you do use this service, and you can afford to make a donation, we would be grateful for a contribution. 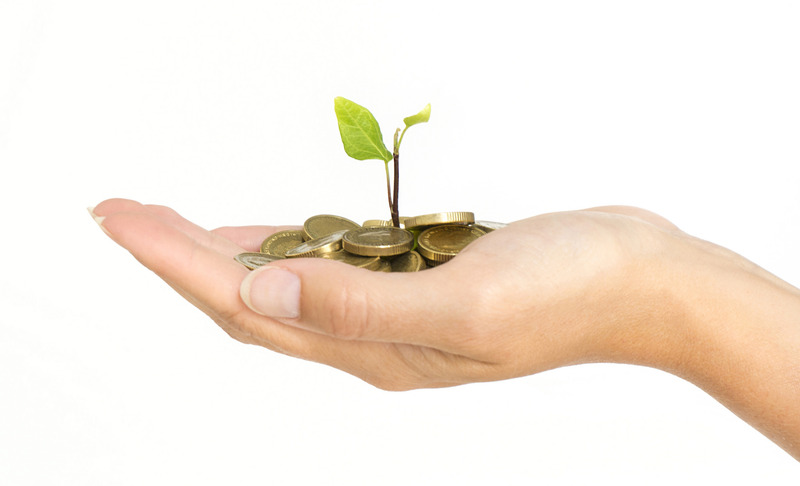 We are an IRS-recognized 501(c)(3) charity, and your donations may be tax deductible as allowed by law. 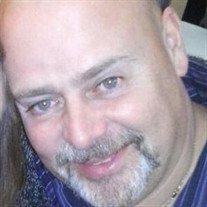 Michael Angelo Iannace, 57, from Irwin, PA, sadly passed away Thursday, December 6, 2018. Mike was the Controller and Purchasing Manager for Lexport LLC, an import/export company that he owned with his wife Lety. When Mike retired from the Nuclear Division of Westinghouse a few years ago, he was asked to continue to work as an independent contractor when they needed him for special projects. He previously was the owner/operator of Ianno’s Pizza in Port Vue and worked at Kopp Glass in Swissvale for 14 years. Mike enjoyed golfing, bowling and spending time traveling the world on many family vacations and on business trips with his wife. Mike played in a senior softball league in Irwin. Shirley Ann (Caulfield) Barnes, age 86 of Versailles, passed away Saturday, December 22, 2018 in Concordia of Monroeville where she resided. She was born February 21 1932 in McKeesport to the late Richard J. and Margaret C. (McCarren) Caulfield and was a graduate of McKeesport High School. Afterwards, Shirley worked as a secretary for Fisher Body of West Mifflin until her marriage. When her children were grown, she worked for the McKeesport Chamber of commerce. Shirley always worked tirelessly at home for her family. She was an avid sewer and quilter and she and her daughter Susan belonged to a local quilting club and enjoyed making quilts and blankets for those in need. She was a skilled seamstress who made beautiful clothing and other items for her family. She also baked delicious bread and canned fruits and vegetables from her large garden and fruit trees. 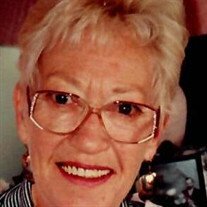 Dorothy Joanne Hitchens, age 78, of North Huntingdon, died on December 22, 2018. She was born in McKeesport on March 28, 1940 and is the daughter of the late John B. and Anna C. Peterson Wood. George W. Garner, age 69, of McKeesport died on Saturday, December 22, 2018. He was born in McKeesport on May 26, 1949 and is the son of the late George and Erma Ruth Anderson Garner. He retired as a Port Authority driver after 19 years. He enjoyed toy trains and attending train shows. Samuel J. Conyette, 90, of Mount Pleasant, passed away peacefully on December 22, 2018. He was born October 4, 1928 in Mount Pleasant and was the son of the late Antonette Covone and was the husband of the late Eleanor J. (Ciampini) who died February 15, 2018. They were married for 64 years. Sam was a member of St. Pius X Catholic Church and the VFW in Mount Pleasant. He was also a 50 year member of the Mount Pleasant Vol. Fire Department where he enjoyed working fish fry's and the fireman's fair and was formerly the Assistant Fire Chief. 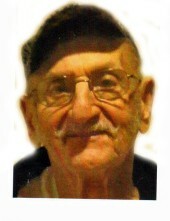 Sam was a US Army Veteran of WWII and was proprietor of the former Sammy's Pizza and The Dari Bar in Mount Pleasant. Ruth Irene Finney, 95, of McKeesport , passed away Saturday, December 22, 2018. She was born November 19, 1923 in Clearfield and was the daughter of the late Wallace O. and Minnie Catherine Maser Horner. She was the wife of the late Alfred M. Finney, who passed away October 24, 1984. She was a former member of Calvary Methodist Church in McKeesport. Ruth was an amazing homemaker who lived her life by the book. She loved her boys, her grandchildren and her friends and family. Roberta Ann “Bobbi” Sago, 53 of Spearfish, SD passed away March 20th at the Spearfish Regional Hospital. Bobbi was born May 16, 1964 in McKeesport, Pennsylvania the eldest of three children born to Robert and Dolores Sago. The family participated in 4-H. She was a Girl Scout and in high school participated in drama and speech team. Bobbie was also in the Future Homemakers of America Group. She graduated from Corvallis High School in 1982. Bobbi went to the University of Montana where she was a Journalism and English major. On her summer break she worked two years in restaurants in Yellowstone National Park. Her junior year she settled on Theater as her major and felt she should work in theatre. Surely there were jobs a lot closer to Montana, but she ended up spending a summer theater season in Monmouth, Maine. She graduated from the Theatre Program in December 1987. She spent the spring on tour with the Montana Repertory. After being on tour, she took a summer job in Spring Green, WI with the American Players Theatre. Bobbi decided to go to graduate school and enrolled in the Catholic University of America in Washington, DC, earning a Master’s Degree in Library Information Science. While in school she worked part-time at George Washington University, the local branch of the Alexandria Public Library and at the Library of Congress paper conservation lab. She lived in DC for nearly 10 years before taking a job as the Manuscript Librarian at the University of Texas El Paso (UTEP) Library. As an archivist, or manuscript librarian, she cared for ‘primary resources.’ In El Paso she started singing with the church choir at the St. Patrick’s Cathedral at 10 a.m. Mass. On April 20, 2003 she accepted a position at the Special Collections Librarian / Archivist at Black Hills State University. She was in charge of the Special Collections Department which contains two main research collections, the Leland D. Case Library for Western Historical Studies and the University Archives. These are both research collections that contain many items that may be rare and unique. In addition to helping patrons with their research, she was responsible for organizing and describing the manuscript collections. Manuscript collections included things like family papers, papers of professional historians, records of organizations, and business records. There were a number of other activities in her job but the one she liked the best was providing outreach for the collections. Bobbi served on the Board of the West River History Conference. She has co-authored four books for Arcadia Publishing, they are: Spearfish, Black Hills Gold Rush Towns, Black Hills National Forest: Harney Peak and the Historic Fire Lookout Towers, and Black Hills Gold Rush Towns II. She also worked a few hours a week for a company called Spearfish Canyon Tours. Bobbi recently got back into theater, this time on the acting side of things. In 2007, she portrayed Mary (Mother) Jones in Out of Our Father’s House at the Matthew’s Opera House in Spearfish. She also has performed in a Matthew’s Opera House event called, “Theater on the Run.” She has portrayed a historic figure for several years on the Rose Hill Cemetery Walk. Most recently she performed in, A funny Little Thing Called Love. She was portrayed as two characters, Twyla and Nita. She was surprised to be cast as Twyla, a stereotypical blond ‘bimbo’. She was owned by two cats, Hercules and Achilles. In December, Bobbi got a contract to co-author her fifth book for Arcadia publishing. It’s titled Fort Meade: Peacekeeper of the Black Hills. The topic is frontier Fort Meade, in Sturgis, South Dakota. The book was due to come out in mid 2018. She was preceded in death by her grandparents, Mr. and Mrs. Ed Sago and Mr. and Mrs. John Merta. Surviving include her father, Robert Sago; mother, Dee Sago; sister, Rebecca Lynn Sago; brother, Robert “Ed” Sago; nephew, Kaleb M. (Brittany) Sago; great niece, Lennon L. Sago and great nephew, Matthew R. Sago. A Vigil Service will be held at 7:00 p.m. Monday, March 26th at the Daly-Leach Chapel in Hamilton. 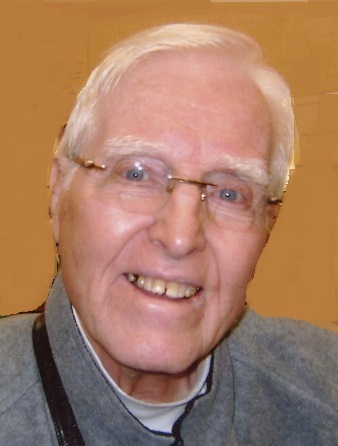 A Funeral Mass will be held at 11:00 a.m. Tuesday, March 27th at St. Francis Catholic Church in Hamilton with Father Jim Connor as celebrant. Interment will follow at Riverview Cemetery in Hamilton. Raymond Regis Sherer, 96, of Greenock, passed away Friday, December 21, 2018. He was born October 13, 1922 in McKeesport and was the son of the late Francis M. and Anna (Wedel) Sherer. He was the husband of the late Rose Marie (King) Sherer who died November 7, 2013. Ray was a member of St. Patrick Parish in Christy Park, USW Local 1408, Elizabeth Township Senior Citizens, and AARP. He was a US Coast Guard Veteran serving during WWII. 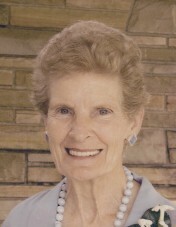 Marlene (Piper) Hornfeck, age 82, of Tucson, AZ passed away on Monday, December 17, 2018 at Northwest Medical Center in Tucson. She retired as a probation officer for the City of Tucson and was a former business office manager at Horizon Southwest Nursing Facility. She was a member of St. Elizabeth Ann Seton Church in Tucson where she was involved with the Marian Movement of Priests, a Lecturer, Sacristan, and the Bereavement and Extra Ordinary ministries. She was also extremely involved with St. Vincent DePaul. The Reverend Herman J. Wilson, age 77, of McKeesport, died December 21, 2018, at home. Born July 16, 1941 in Robbins, TN, he was the son of the late Willie and Sarah (Kayak) Wilson and was the husband of Patricia "Pat" (Ward) Wilson. JEFF PAULE age 75 of West Mifflin on December 19, 2018. He was a son of the late John and Mildred "Pat" (Hatfield) Paule. He was a co owner of the former Paule's Lookout Restaurant in West Mifflin. 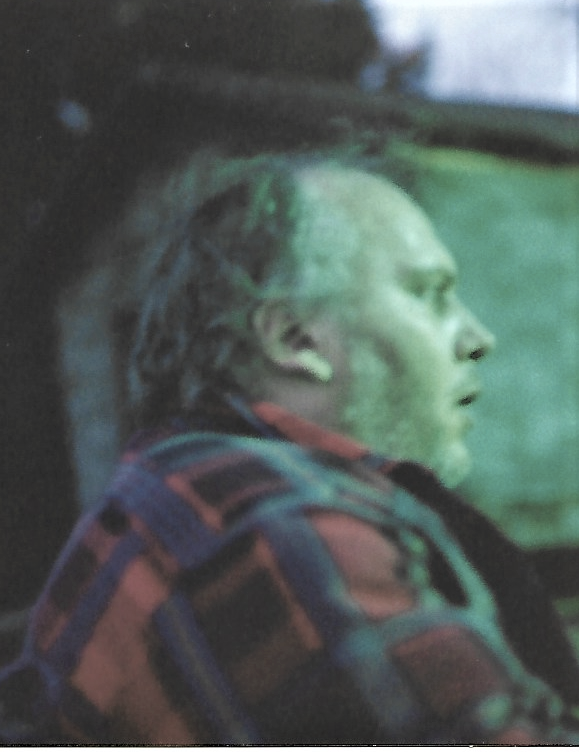 He was a member of Christ Lutheran Church in Duquesne. Husband of Jill (Canavan) Paule; father of Jeff (Marissa) Paule of West Mifflin, Marc (Theresa) Paule of West Mifflin and the late Richard (surviving spouse, Wendy) Paule of Houston, TX; also six grandchildren and three great-grandchildren; brother of Jake (Joanne) Paule of West Mifflin. There will be no visitation or services. Arrangements entrusted to MALOY-SCHLEIFER FUNERAL HOME, Duquesne 412-466-3300. 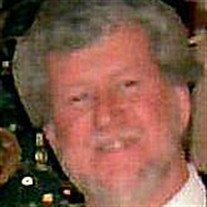 James M. Fawcett, age 68 of McKeesport, died Wednesday, December 19, 2018. He was born in McKeesport September 14, 1950, the son of the late Morrell and Thora A. Roberts Fawcett. James served in the U. S. Marines during the Vietnam War and was the proprietor of James M. Fawcett Trucking and Excavating in White Oak, PA since 1970. He was an avid hunter and traveled the world hunting game of all kinds. He is survived by his wife Debora Karnbauer Fawcett; sisters, Audrey (Edwin) Wojcik of Robinson Township, Tracey L. Cicci of White Oak; brother, William Fawcett of White Oak; step-children, TJ (Elyse) Werner of Port Vue, Rachael Werner of McKeesport, Kerri (Joe) Dugan of Jefferson Hills; granddaughter, Charli Elizabeth Werner. Family and friends will be received on Saturday, December 22, 2018 from 4-8 pm and Sunday from 2- 8 pm at Strifflers of White Oak, 1100 Lincoln Way, White Oak, PA 15131 (Sue Striffler Galaski, Supervisor 412-678-6177). Service will be held Monday, 9:30 am at the funeral home with Rev. Charles Owston officiating. Burial with military honors will follow in McKeesport and Versailles Cemetery. Condolences may be made at www.strifflerfuneralhomes.com. Marcia Lee “Honey” Walker, 70 of Clairton, Pennsylvania, passed away on Tuesday, December 18, 2018 in AHN Jefferson Hospital with her family by her side. She was born on January 24, 1948 in Steubenville, OH, daughter of the late Leroy L., Sr. and Willa Mae Barber Thompson. She was also preceded in death by sister, Clara Taulton and brothers, Leroy Thompson, Jr. and Cecil Holham. Ila B. "Jackie" Filotei, age 86, of McKeesport, died December 18, 2018, at UPMC McKeesport. 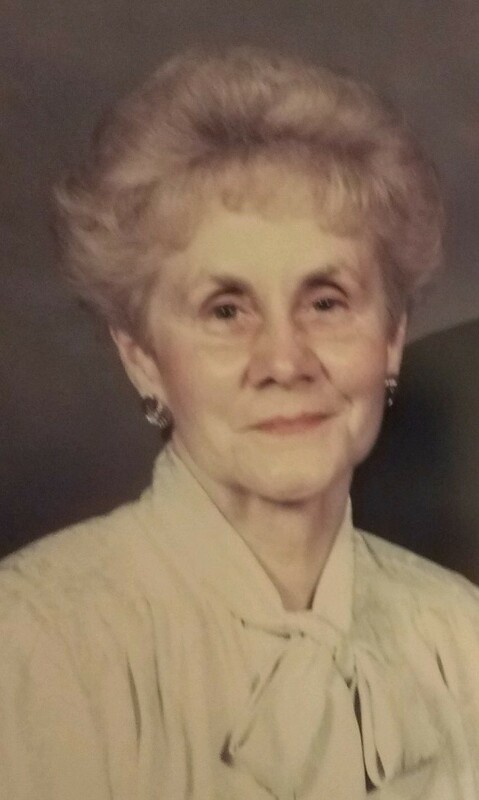 Born February 15, 1932, in McKeesport, she was the daughter of the late Calvin and Clarabelle (Knapton) Hunter and the wife of Frank A. Filotei, Sr., for over 65 years. Harry A. Temple, age 82 of North Huntingdon and formerly of White Oak, passed away on Wednesday, December 19, 2018 in Excela Health Westmoreland Hospital in Greensburg. Born March 25, 1936 in McKeesport, he was a son of the late Sylvester and Gladys (Smart) Temple. A retired machinist at US Steel National Tube Works in McKeesport, Harry was a member of Wesley United Methodist Church in White Oak. 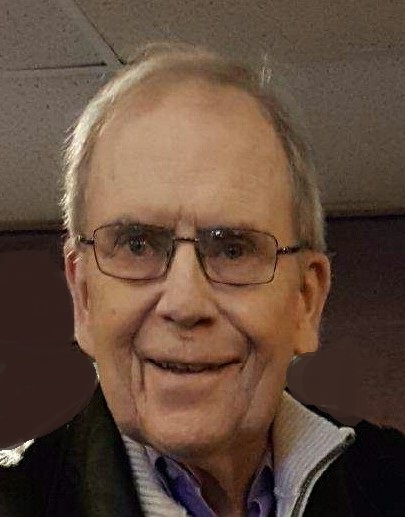 William J. Ebertshauser, 83, of West Mifflin died Dec. 18, 2018. He is the son of the late Henry F., Sr. and Claire (Henderson) Ebertshauser and husband of the late Linda Lou (Henry) Ebertshauser. He is survived by his son William H. Ebertshauser and brother Henry F. Ebertshauser, Jr.; also nieces and nephews. 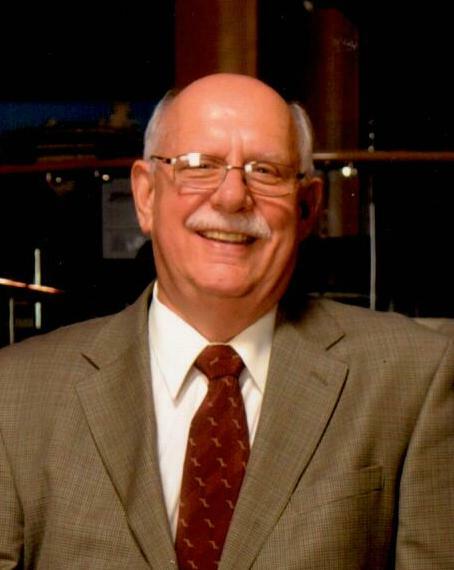 Bill was a retired branch bank manager for Union National Bank for over 30 years. Brother Ebertshauser, a Past Most Wide Master of the Pittsburgh Chapter of Rose Croix served the Valley in that capacity in 1984. Following his tenure as Most Wise Master he was elected to the Board of Trustees in 1989. During his service as Trustee of the Valley, he served as Chairman of the Budget Committee. Bill became a member of the fraternity in 1958, joining Duquesne Lodge No. 731 where he served as Worshipful Master 3 times in 1962, 1981 and 1986. 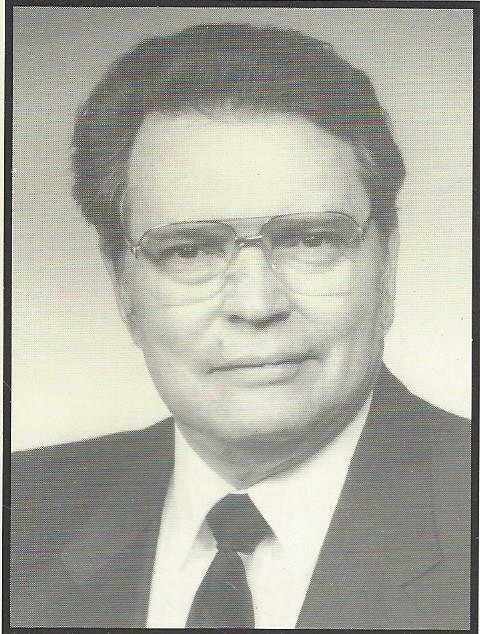 He served the 49th Masonic District as District Deputy Grand Master from 1970 to 1979. In 1988 he was elected Secretary of his Lodge - a post he held through 2001. In York Rite Masonry, he belonged to McKeesport Royal Arch Chapter and Duquesne Commandery. He joined the Valley of Pittsburgh in 1962. Bro. Ebertshauser was coroneted a Honorary Member of the Supreme Council, Sovereign Grand Inspector General 33 degree in 1991. He has also received the DeMolay Honorary Legion of Honor. He served in the US AirForce from 1954 to 1957 and was a former member of the United Methodist Church in Duquesne. Friends received Teichart-Gracan Funeral Home, Duquesne, Thurs. Dec. 27th from 6 to 8 and Fri. Dec. 28th from 2-4 and 6-8. A masonic service will be held Friday at 7:30pm. A funeral service will be held Sat. 11:00 am in the funeral home. Interment following Jefferson Memorial Park. A memorial luncheon will be held after interment at the Masonic Lodge 1200 Clonmell St, Duquesne PA 15110. Timothy S. Nesiti Sr., 87, of West Mifflin, died peacefully, Monday, December 17, 2018 in Southwestern Veterans Center, Pittsburgh. Born April 7, 1931, in West Mifflin, he was the son of the late Stephan and Mary Nesiti. 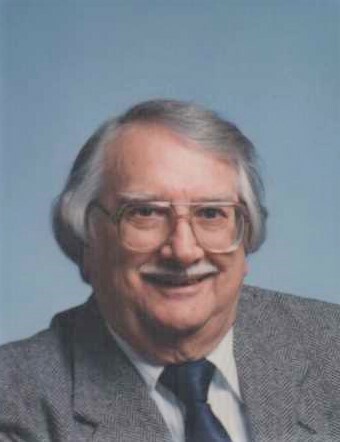 Mr. Nesiti was a retired yard master for Zeigler Lumber Company, Duquesne, a retired cashier for Monzak's Auto Service, a proud U.S. Army veteran of the Korean Conflict, and an avid bluegrass musician playing guitar and singing lead vocals in several bands. His signature song was "Rattlesnake and Daddy" that can be heard on the Dixie Traveler's album FREE WHEELING. In his retirement, he liked to fish and sit in his cabana with a rub of snuff monitoring the neighborhood listening to bluegrass music. He was the beloved husband of the late Geraldine (Castro) Nesiti, he is survived by three loving sons, Timothy S. Jr. (Lynda), Dana (Mary Ann), and James J. Sr. (the late Deena) Nesiti; two grandsons, James J. Jr., and Nicholas Nesiti, and several nieces. William M. Vincent Sr., 94, of North Versailles, passed away Wednesday December 19, 2018. He was born December 31, 1923 in Pittsburgh, a son of the late Lewis M. and Marie B. (Young) Vincent and was also preceded in death by his wife of over 63 years, Mildred A. (Schwan) Vincent and a sister Mary Vincent. 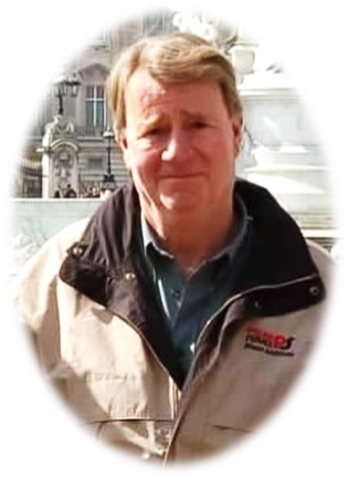 Bill was a retired cost analysist for Westinghouse Electric Corp., East Pittsburgh for 42 years and a former tax associate for H & R Block for 38 years. He was a member of St. Elizabeth Ann Seton Church, North Huntingdon, and at one time active with Boy Scout Troop #85. He enjoyed square dancing, ballroom dancing and roller skating. He is survived by his children Anne Marie (Craig) Mollon of NY, Mary Catherine (John) Harris of MD, William M. (Louise) Vincent Jr. of VA, and Jean L. (Thomas) Zelmore of Mt. Pleasant; his grandchildren William M. (Dariela) Vincent III, Mark (Ingrid) Harris, Kate (Nicholas) Block, and Cynthia Zelmore; and his great grandchildren William M. IV, Carmen, and Theodore Vincent. Brian L. Woodward, 54, of North Huntingdon, passed away Monday December 17, 2018 at home surrounded by family. He was born September 9, 1964 in Pittsburgh, a son of Leo J. and Arlene A. (Sheroke) Woodward of Murrysville. Brian was an employee of Select Security, Morgantown, WV and a former employee of Firefighter Sales and Service, Cranberry Twp. He was an avid sports fan that loved the Pittsburgh Penguins and ocean fishing while on vacation. He is survived by his wife Victoria (Tkac) Woodward of North Huntingdon; daughters Emily (Ian) Troxell of Manor and Bailey A. Woodward of North Huntingdon; his sister Kim (Woodward) Treloar of Murrysville; father and mother in-law Paul and Susan Tkac; brothers in-law Chris Tkac and J.P. (Pam) Tkac; also nieces and nephews Luke and Leah Treloar. Sally L. (Phillips) Hawkins, 91, of North Versailles, passed away Monday December 17, 2018, at home. She was the wife of 56 years to the late Robert E. Hawkins; mother of Robert E. Hawkins of VA, Beverly Martinez of MI, and George C. Hawkins and Jay Cunningham both of North Versailles; grandmother of 5; great grandmother of 6; also a great great granddaughter and several nieces and nephews. Sally was a 50 member of Linway United Presbyterian Church, Past Worthy Matron of Order of Eastern Star, Corinth Ch., Past Regent Queen of the Daughters of the American Revolution, Aliquippa Ch., and a member of the auxiliary of the China Burma India Veterans Association. 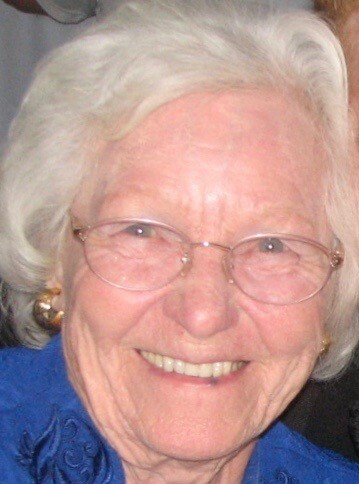 Bernice (Twohig) McNeil, age 86, of Worcester, MA, and formerly of Forward Twp. passed away on Wednesday, December 19, 2018 at Jefferson Hospital. She retired after many years as a clerk for the City of Worcester. A member of St. Clare of Assisi Parish in Clairton, she was an avid animal lover. She enjoyed going to the ocean and following New England sports teams. Gayle Pauline Fitch, 76, of McKeesport, died Wednesday, December 19, 2018 at Jefferson Hospital. She was born October 10, 1942 in Pittsburgh and was the daughter of the late Russell Orr and Pauline Elizabeth Rusewicz Earl. She was the wife of the late Orville Fitch. Gayle worked as a nurse's aid at Senior Care in McKeesport for many years and was a member of Christy Park United Methodist Church. She was also a past member of the Eastern Star, Royal Neighbors and The Christy Park Senior Citizens. She was also an avid Pittsburgh Steelers and Penguins fan. C. Edgar Morris, 76, of McKeesport, died Monday, December 17, 2018 at Monroeville Wellness and Rehabilitation Center, Monroeville. Born in Masontown, PA, September 23, 1942, he was the son of the late George Lincoln and Edith Cinderella Wyland Morris. A retired foreman at WABCO, he later worked at and retired from Rice Enterprises. Husband of the late Roberta Thomas Morris, he is survived by his sons, Bryan Morris of McKeesport and Shawn (Erin) Morris of McKeesport; 4 grandchildren, Shawn Paul Morris, Brennan Jayce Morris, Alexis Clawson, and Jessika Clawson; and is also survived by brothers and sisters. Friends will be received in the Hunter Funeral Home, Inc., 1600 Coursin Street, McKeesport, PA 15132 on Friday, December 21, 2018 from 12-3 and 5-8 PM. A service will be held in the funeral home on Friday at 7 PM with the Rev. Jamal Lester officiating. 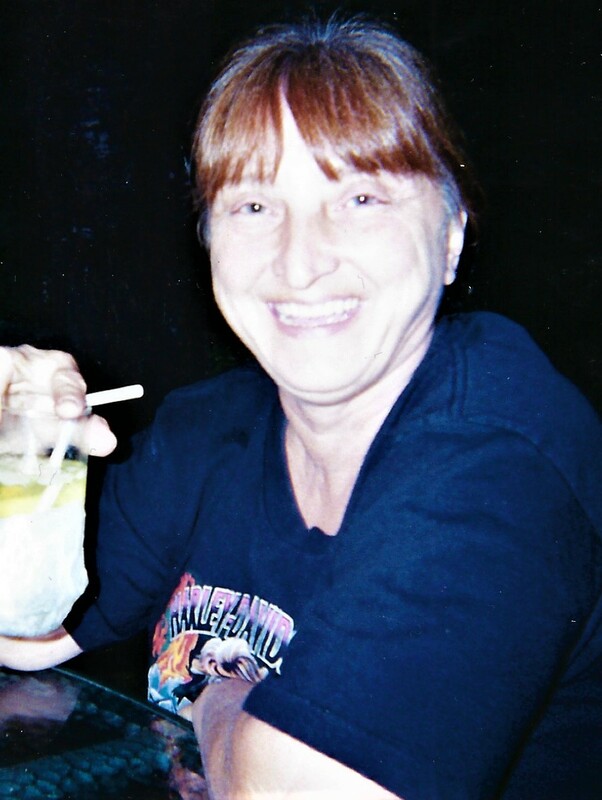 Marie Annette Blake (Weegie), 59 of McKeesport, Pennsylvania, passed away on Sunday, December 16, 2018 in UPMC McKeesport Hospital. Katherine V. Zeik, 92, of Monroeville, PA, formerly of Glassport, died Monday, December 17, 2018. She was the daughter of the late John and Mary (Gojtan) Korenic of White Oak. She was the beloved wife of Louis E. Zeik who preceded her in death in 2013. She was the loving mother of Kevin L. (Patricia) Zeik, of Irwin, Brian E. (Lynn) Zeik, of Monroeville, and Douglas B. (Lisa) Zeik, of Cincinnati; grandmother of Corey, Samuel and Tyler. She was preceded in death by brothers George, Edward, John and Joseph and sister, Helen Kincel. She was the very proud Aunt of many nieces and nephews and great nieces and great nephews. Katie worked at United States Steel Corporation National Tube Works until her full time job became raising three boys and caring for a hard working husband. She selflessly devoted her entire life to taking care of family and friends. She was a member of Queen of the Rosary Church in Glassport and then St. Bernadette Church in Monroeville. 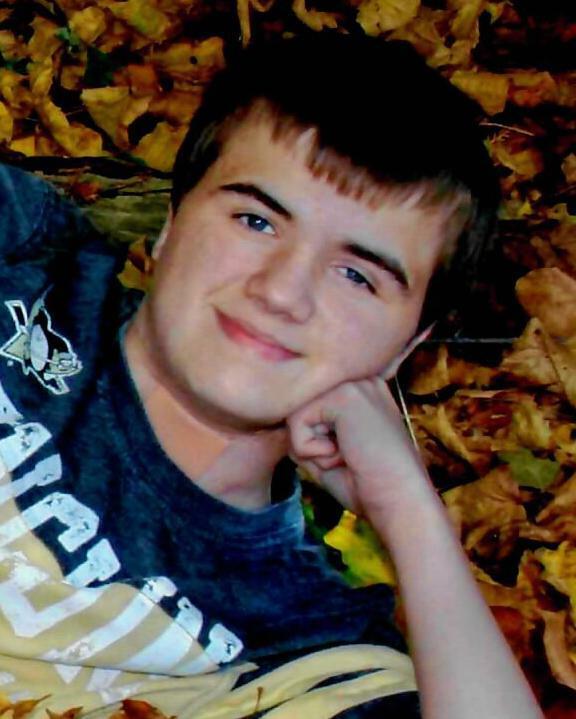 Friends will be received from 2 to 4 p.m. and 6 to 8pm Wednesday at the WOJCIECHOWSKI FUNERAL HOME, in Glassport. A funeral Mass will be held at 10 a.m. Thursday at St. Bernadette Church with the Reverend Tony Gargotta. Interment following New St. Joseph Cemetery, North Versailles. In lieu of flowers, please consider a donation to a local animal shelter. Patricia Mathews, age 64, of White Oak, died Monday, December 17, 2018. She was born September 15, 1954 in McKeesport, the daughter of the late Wayne Sr. and Rose Topolnak Paxon, and wife of the late Carl Van Mathews. She enjoyed riding motorcycles, working with ceramics, beading, collecting Indian statues and many other crafts. She loved spending time with her family and Christmas was known to be her favorite holiday. Tony Bocetti, age 95, of McKeesport and Forward Twp., passed away on Thursday, December 13, 2018 at home. He retired as a manager for R.E.A. Express in Pittsburgh. An Army veteran serving during World War II, he took part in the Normandy Invasion. He was a former member of the White Oak American Legion, Croatian Fraternal Union #146 of Versailles, Versailles VFW and Versailles AARP, and a former volunteer at the McKeesport Food Bank. John A. “Wacky” Kovac, age 78 of McKeesport, died Friday, December 14, 2018. He was born in Port Vue on February 5, 1940 and is the son of the late Andrew R. and Kathryn Krivonak Kovac. John served in the U. S. Army during the Viet Nam War and was a self-employed painting contractor. He was a member of the PNA Lodge 352 in McKeesport and formerly the Port Vue Golf League. He is survived by his son, Brent E. (Stephanie) Kovac of Port Vue; grandchildren, Carrington and Ryker Kovac; sister, Audrey (Thomas P.) Catanzaro of Glassport; nieces, Kim (Tony) Dunn-Ruccio of McKeesport, Toni (Will Hodnik) Brundage of Port Vue, Sandy (John Sanford) Catanzaro of Glassport; and nephew, Thomas A. Catanzaro of Glassport. Mary Ann (Beam) Markle age 70, of Pittsburgh, formerly of West Mifflin and Dravosburg, on December 15, 2018. She was a daughter of the late Daniel and Marie C. (Lynn) Beam. Mary Ann was a retired bank operator-sorter for National City Bank. She later became a tutor for Greater Pittsburgh Literacy and tutored English as a secondary language instructor. She collected carousels. She is survived by her significant other of 29 years, William G. "Buck" Lorey of Pittsburgh; sister of the late Daryl Hart. Visitation on Wednesday, December 19 from 9 a.m. - noon at the MALOY- SCHLEIFER FUNERAL HOME, 915 Kennedy Ave., Duquesne, (412) 466-3300, where her funeral services will be held at noon, Pastor John Gropp officiating. Burial will be in Jefferson Memorial Park. Memorial contributions may be made to Bethany Hospice, 875 Greentree Rd., Parkway Center, Building 6, Ste. 100, Greentree, PA 15220. Terry Allen Kellar, Sr., age 73, of Elizabeth Twp., passed away on Saturday, December 15, 2018 at home. A U.S. Navy veteran, he retired as a foreman with U.S. Steel Fairfield Works in Birmingham, AL. Born November 6, 1945 in McKeesport, he was a son of the late Michael and Anna (Scherbo) Kellar, and husband of the late Emma (Wallace) Kellar. Marie (Wislosky) Dutka, 91, of Irwin, formerly of Trafford, passed away peacefully Wednesday December 12, 2018. She was born August 1, 1927 in Trafford, a daughter of the late Steve and Catherine (Marchyn) Wislosky. In addition to her parents she was preceded in death by her husband Alexander Dutka, a sister Natalie Bertolo and her brothers John, David, and Steve Wislosky. She was a lifetime member of Christian Life Church, Trafford. Marie is survived by her sons Ron (Julie) Dutka of Irwin and Ken (Jacquelyn) Dutka of North Huntingdon; grandchildren Ethan and Nicholas Dutka; a sister Dorothy (John) Dutka; and nieces and nephews. Elsie M. (Holt) Novak, 90, of North Versailles, passed away Friday, December 14 2018. She was born April 23, 1928 in North Versailles, a daughter of the late Harry A. and Hilda M. (Herrmann) Holt and was also preceded in death by her husband Victor A. Novak; a son James H. Novak; and her sister Virginia J. Holt. She was a graduate of East McKeesport High School, attended Westminster College and graduated from the University of Pittsburgh. 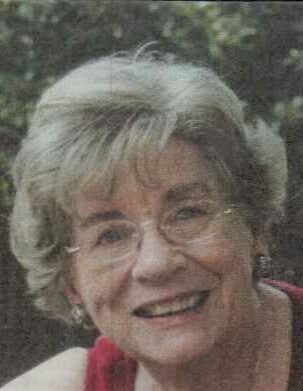 She was a retired French and English school teacher for the McKeesport Area School District. 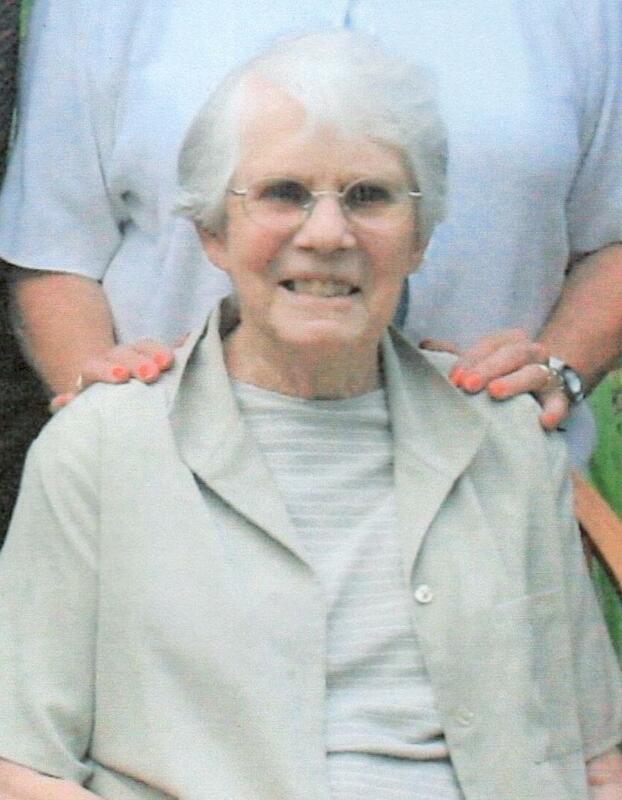 Elsie was a member of St. John's Evangelical Lutheran Church, North Versailles and the Women of the ELCA. She loved gardening and traveling. Lance A. Frye, 21, of North Huntingdon, passed away Friday December 14, 2018 at home surrounded by family. He was born March 24, 1997 in Pittsburgh, a son of Wilbur F. and Betsy J. (Bouldin) Frye of North Huntingdon. Lance was a Heart Hero for the American Heart Association, a former camper and counselor for Dr. Bill Neches Heart Camp for Kids, a former player and coach for PAL Adaptive Baseball League, and an Ambassador for Children’s Hospital, Beads of Courage, and Speedway. Lance also was a Make-A-Wish Foundation kid. 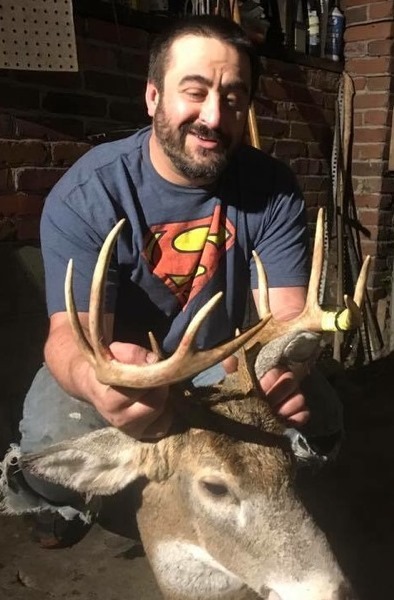 He was a sports fanatic and a member of Pitcairn Monroeville Sportsman’s Club. 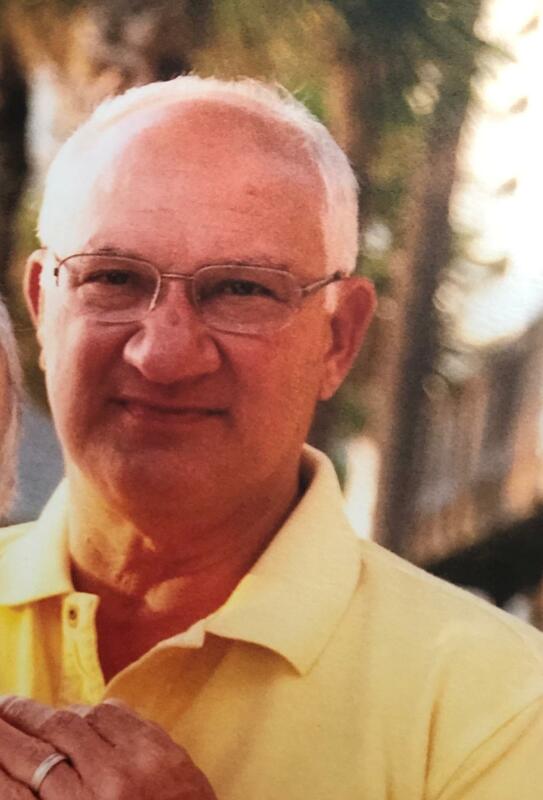 He was a graduate of Norwin High School, an employee at Earl’s Dairy Whip, North Huntingdon, and a member of First Presbyterian Church, Irwin. Elizabeth A. 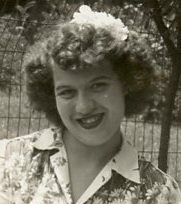 “Betty” (Benaim) Wingertzahn, 90, of North Huntingdon, formerly of Herminie, passed way Thursday December 13, 2018. She was born November 14, 1928 in Pittsburgh, a daughter of the late Jacque and Anna (Wiehagen) Benaim. She is survived by her daughter Cheryl Fowler and her husband Dale of North Huntingdon and her granddaughters Chelsea Lynn and Ashley Lauren Fowler. Betty loved animals especially the family dogs. At the family request there will be no viewing. 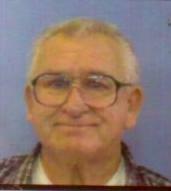 Albert M. Serena died Thursday, December 13th in McMurray Pa. He was 87. 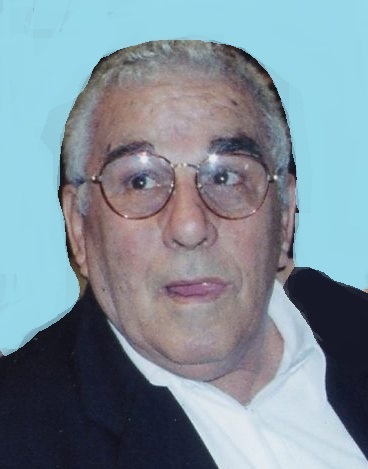 Albert was born on Valentines Day, February 14, 1931, in North Braddock. He was the only child of Roy Serena and Hazel Smith Serena Garrett. He was married 67 years to Audrey Bisesi Serena. Velma M. (Toots) Whitney, 84, of Buena Vista formerly of McKeesport died Friday December 14, 2018. She was the daughter of the late Albert and Janet (Smith) Barker. She was preceded in death by her beloved husband James Whitney. She is survived by daughters Maureen (Robin) Gault and Barbara (Harry) Serena; sons James (Kate) Whitney and Bruce (the late Colleen) Whitney; sister Janet (Earl) Oyler; brother Dwayne (Marylin) Barker; also nieces and nephews. She was preceded in death by brothers James, Ted, Bill, Bob, and Albert. Toots was a retired cafeteria worker for the McKeesport Area School District and was a former member of St. Pius Church. Friends received Teichart-Gracan Funeral Home, Duquesne Monday 1-9pm. A funeral mass will be held Tuesday 10am at Holy Name Church with Father Tom Lewandowski. Entombment following at New St. Joseph Cemetery, North Versailles. 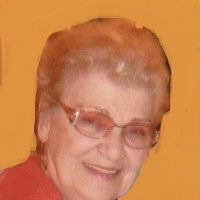 Ouida A. Mincone, age 87 of Clairton, passed away on Wednesday, December 12, 2018 in John J. Kane Regional Center - Glen Hazel. Born August 15, 1931 in Camden, AR, she was a daughter of the late Lester H. and Willa (Heldebrand) Arnold. 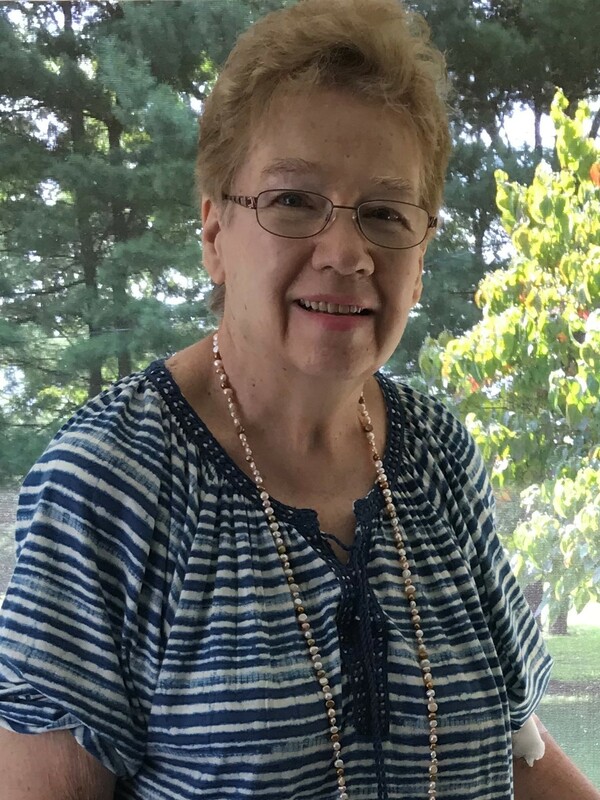 A retired bank teller for Equibank in Clairton and a member of Pine Run United Methodist Church, Ouida loved to play cards, especially with her 500 Bid Card Club. She joins her husband, the late Frank A. Mincone, who passed away May 12, 2011. 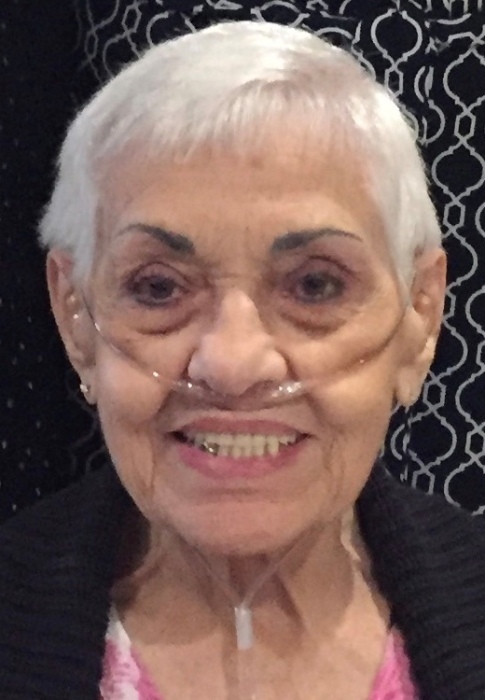 Jacquelene "Jackie" Lopretto, age 69, of McKeesport, died December 11, 2018 at Family Hospice & Palliative Care in Pittsburgh. Born May 25, 1949, in McKeesport, she was the daughter of the late John "Jack" and Helen (Galeziowski) Bentley and the wife of the late David L. Lopretto for 46 years. 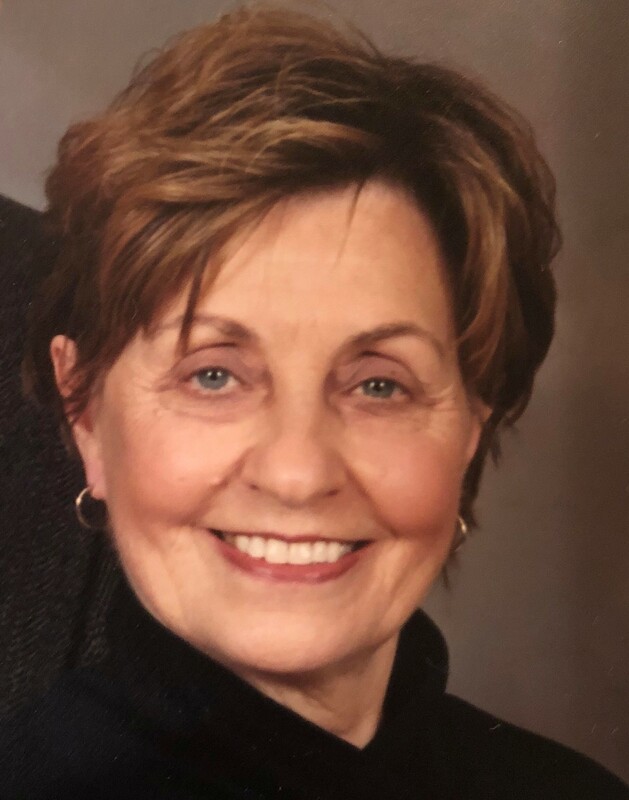 Catherine M. Brajdic Petrulli, age 62, of White Oak, died December 12, 2018, at UPMC McKeesport. Born November 6, 1956, she was the daughter of the late Anthony J. and Nell M. (Nuce) Brajdic. 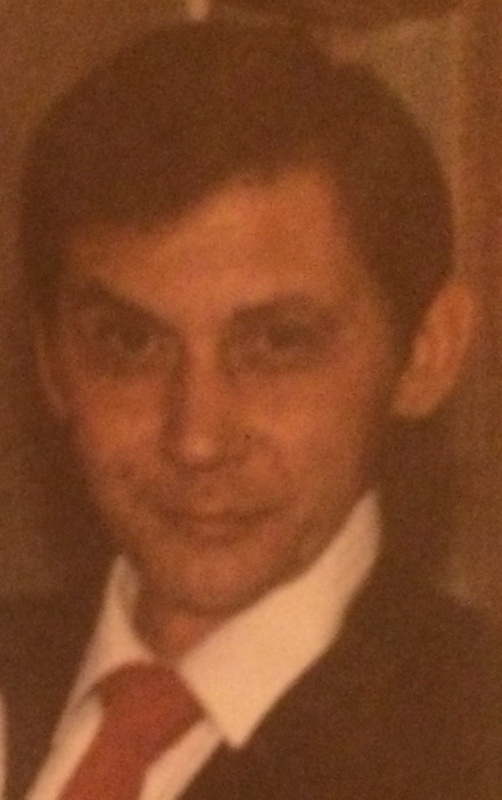 ROBERT R. "BOB" HARDING age 75, of McKeesport, on December 11, 2018. He was a son of the late Robert S. and Louise (Heil) Harding. Bob was retired from U.S. Steel Duquesne Works and a member of the former Wanderer's Car Club. Husband of the late Patricia (Szmuc) Harding; father of Frank Hussman of Titusville, FL, Scott Harding of Irwin, and the late Robert "Robbie" Harding; brother of Joanne (late James) Denne of West Mifflin, Dorothy (Glen) Schmidt of Linesville, Linda Harding of Liberty Boro, Warren J. (Mary Kathy) Harding of Chapel Hill, NC, and the late Mary Lou Maurer; grandfather of Rhaeanne (Samantha) Hussman, Jamie Hussman, Robert "Robbie" Harding, Scott Harding, and Chris Harding; also one great-grandchild; and nieces and nephews. 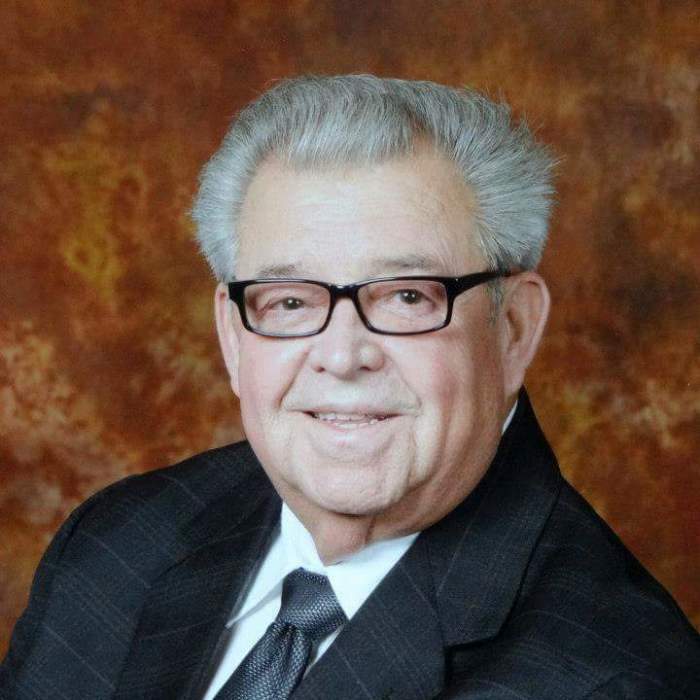 Visitation on Friday, December 14 from 1-3 and 5-8 p.m. at the MALOY-SCHLEIFER FUNERAL HOME, 915 Kennedy Ave., Duquesne, (412) 466-3300, where his funeral services will be held on Saturday at 10 a.m., Deacon Dale DiSanto officiating. Burial will be in Jefferson Memorial Park. Marlene (Murray) Weston, 85, of North Irwin, passed away December 9, 2018, at home. She was born June 1, 1933 in Rankin, a daughter of the late Richard H. and Edith P. (Sleigh) Murray and was also preceded in death by a brother Richard (the late Gabriella) Murray. After graduating from North Huntingdon High School in 1951 she worked as a Bell Telephone operator for ten years and also operated Ceramics by Marlene in Shafton for many years. She is survived by her husband of over 65 years Neil H. Weston; her sons Scott W. Weston and his wife Stephanie of Jeannette, Kirk R. Weston and his wife Sharon of Irwin, and Erik J. Weston and his wife Tracy of Bluefield, WV; her grandsons Zachary and Lucas Weston; siblings Edith (the late Donald) Rhodes and John Murray Sr. and his wife Peggy both of North Huntingdon; also nieces and nephews. W. Ross Graham, Jr., age 70 of Ormond Beach, Florida died Tuesday, December 11, 2018. He was born September 19, 1948 in McKeesport, the son of the late William R. Graham, Sr. and Donna M. Pivido Graham. He served as a medic in the U. S. Airforce during Vietnam. He enjoyed driving race cars, golfing and was an avid sports fan. He loved his Porche and spending time with his dog, Steve and grand dog, Bentley. He was a past member of Beulah Park United Methodist Church. Ross was retired six years as a physician’s assistant from Allegheny General Hospital. He is survived by his son, Matthew H. (Sarah) Graham of Richmond, Virginia; brothers, Drew (Cindy) Graham of White Oak, and Jay (Debbie) Graham of McKeesport; former wife, Beverly Holt Graham of Versailles; and many nieces and nephews. Family and friends will be received on Thursday, December 13th at Strifflers of White Oak Cremation & Mortuary Services, 1100 Lincoln Way, White Oak, PA 15131 (Sue Striffler Galaski, Supervisor 412-678-6177), from 5:00 pm until the time of service at 6:00 pm with Pastor Shawn Caroll officiating. Military honors will follow. Betty Jane Worthy, 91, of White Oak, passed away December 10, 2018. She was born June 12, 1927 in McKeesport and was the daughter of the late George and Anna (Stark) Mezoff. 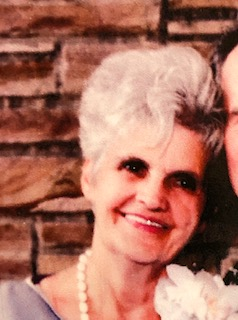 She was the wife of the late Eugene Howard Worthy, who passed away September 17, 2018. Betty Jane was a member of the former St. John Evangelical Lutheran Church in McKeesport. She was retired from Bell of Pennsylvania and was a member of the Bell Pioneers. Cleveland Adams, Jr. “Bubba Dee”, 86 of Clairton, Pennsylvania, departed this life on Sunday December 9, 2018 at home surrounded by his loving family. 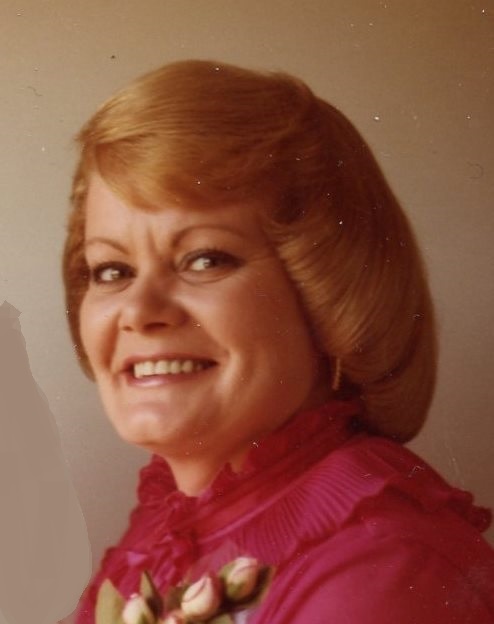 FLORENCE "HONEY" FISHER age 81, on December 9, 2018, of West Mifflin. She was a daughter of the late Arthur and Catherine (Nee) Fisher; sister of Barbara (late William) Rowell of West Mifflin, Lynn (Daniel) Gluvna of Aiken, SC, late John Fisher; sister-in-law of Audrey Fisher of West Mifflin; aunt of Kathy Dickson, Amy Metz, Diane Rowell, James Fisher, Doreen Reynolds, Loren Fisher, Timothy Fisher and Brienne Arthur. Flo's family would like to thank Eldercrest Nursing Center for their kind and compassionate care, especially nurse Crystal. Mass of Christian Burial will be on Friday, December 14, 2018, at St. Agnes Church, West Mifflin, at 10 a.m. Burial will be in St. Agnes Cemetery. In lieu of flowers, memorial contributions may be made to Animal Friends of Pgh. Arrangements have been entrusted to MALOY-SCHLEIFER FUNERAL HOME, Duquesne, PA, 412-466-3300. Eleanor M. Francetic, age 89 of McKeesport, passed away on Tuesday, December 11, 2018 in HCR ManorCare of Monroeville. Born January 31, 1929 in McKeesport, she was a daughter of the late Michael and Mary (Luketic) Francetic and sister of the late Josephine Fencik, Emma Braun, Ann Jackson, Julia Cipriani, and Helen Francetic. A former secretary and translator for the Croatian Fraternal Union, Eleanor was a member of St. Patrick's Roman Catholic Church and the former Sacred Heart Parish, both of McKeesport, and was active in the parish ministries, including the Rosary Society, the Eucharistic Ministry, and the Ladies of Charity. She was also a member of CFU Lodges # 44 and # 3. Eleanor is survived by her nieces and nephews. 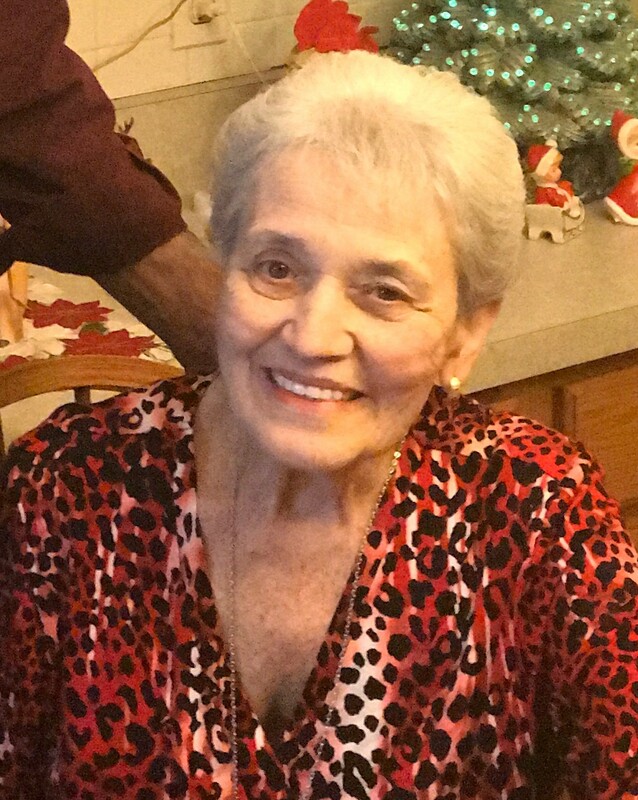 Anna L. Borges, age 88 of Versailles, passed away on Monday, December 10, 2018 in the VA Hospital Healthcare System - Aspinwall. Born April 14, 1930 in Homestead, she was a daughter of the late Michael and Anna (Puchy) Dorko. A retired clerk from the North Versailles K-Mart, Anna was a Veteran of US Marine Corps, serving as a WAVE during the Korean War. She was a member of Corpus Christi Parish in McKeesport and the CFU Lodge #148 and its Ladies' and Pensioneers' Clubs, the White Oak American Legion #701, the Waves National #28 of Pittsburgh, the Women's Overseas Service Legion, and the Royal Neighbors of America. 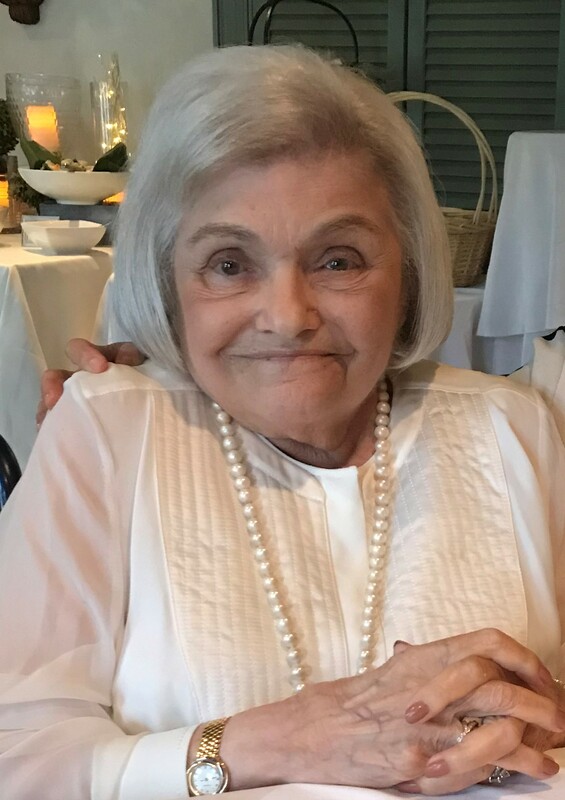 Helene D. Wechsler, age 91, died on Saturday, December 8, 2018. She was born in New York City on August 17, 1927 and is the daughter of the late Leo and Irene Barth Dreyfus. She was the wife of the late Dr. Harry L. Wechsler who died on June 17, 1996. Helene received her Bachelor of Science from New York University and worked as a buyer, at Lerner’s Department Store in New York City. After marrying Harry and moving to McKeesport, her life was devoted to her beloved husband and her three children. She served on the board of directors of the Carnegie Library of McKeesport and was a member of Temple B’Nai Israel. She volunteered at the Bryn Mawr-Vassar Book Store. died December 10, 2018, at UPMC Shadyside. Carole McGinty, age 76, of McKeesport, died December 10, 2018, at home. Born December 23, 1941, in McKeesport, she was the daughter of the late Emil and Stefania "Steffy" (Matwij) Tomko and the wife of the late Robert "Bubbles" McGinty. 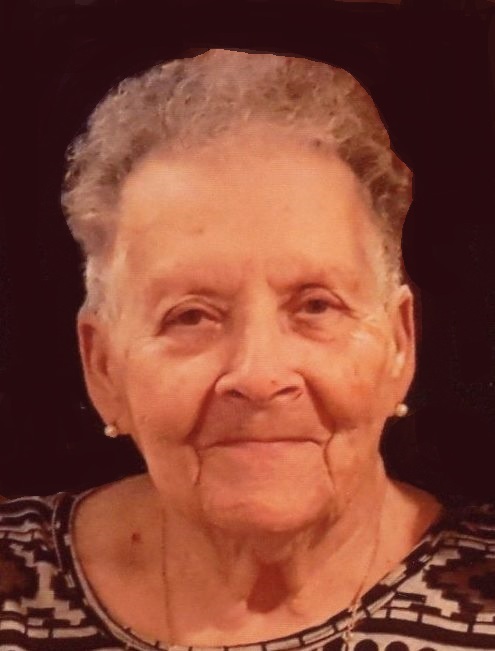 THERESE S. ISADORE, age 91 of Delmont, PA, formerly of Duquesne on December 8, 2018. She was a daughter of the late Jacob and Henrietta (Ruhe) Denne. Therese was a self employed aesthetician. Wife of the late Raymond Isadore; mother of Raymond B. (Margaret) Isadore of Shaler Twp. and Dennis J. (Elisa) Isadore of Delmont; also eight grandchildren; and four great-grandchildren; sister of Leo (Pauline) Denne, Grace (late Charles) Mosser, Regis (Toni) Denne and the late William (late Ada) Denne. There will be no visitation. A Memorial Service will be held at a later date. Arrangements entrusted to MALOY - SCHLEIFER FUNERAL HOME, Duquesne 412-466-3300. 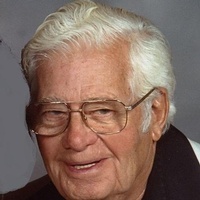 Robert G. Hodge, age 84, of Jefferson Hills, died on Monday, December 10, 2018. He was born in Smithfield, PA on June 18, 1934, the son of the late David and Anna Mae Kennedy Hodge. Robert worked as a production foreman for US Steel Corporation, Irvin Works until his retirement in 1986. He is survived by his wife, Marie A. Hodge; children, Robert C. Hodge of Levittown, NY, Pamela Baronti of Charleroi, Stephanie (Christopher) Classic of Dravosburg, and Michele (Blaine) McLaughlin of Four Oaks, NC; grandchildren, Tracy Baronti, Richard Baronti, Ronald Hodge, Marie Thomas, Katie Hodge, Crystal Jeznis, Breanne Morabito, Jamie Merlino, Katie Thomas, Vincent Baronti and Jessica Baronti; 14 great granchildren; siblings, Ruth Smitley of Jefferson Hills, Mary Jane McCorkle of Elizabeth Township, Alice Bucy of Portersville, IN. He is preceded in death by his siblings, Margaret Schwarz, John Hodge, Anna Mae Core, Clyde Hodge, David Hodge, Jr., and Gwendolyn Hodge. The Lord calls each of us by name. On December 9, 2018 Charles “Chick” Honick of Elizabeth passed peacefully to join Jesus. He was born September 13, 1936 in McKeesport, the son of the late Joseph and Florence Randolph Honick. He will be sadly missed by his loving wife, Patricia Honick and his children Cheryl (Michael) Fullerton, Denise (Raymond) Schultz, Deborah Micallef, Edward (Cindy) Honick and Justin Honick. He was preceded in death by sons, William and Charles Honick. “Chick” was one of 13 children. 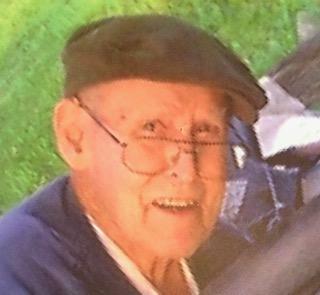 He left behind 10 grandchildren, 8 great-grandchildren and many nieces and nephews. He was a devoted Christian and a member of “The Church” of Sutersville, PA. He was a veteran of the United States Army and retired police officer. “Except a man be born again he cannot see the Kingdom of Heaven” John 3:3. Family and friends will be received on Wednesday, December 12, 2018 from 4:00 pm until the time of service at 7:00 pm at Strifflers of White Oak Cremation & Mortuary Services, 1100 Lincoln Way, White Oak, PA 15131 (Sue Striffler Galaski, Supervisor 412-678-6177). Pastor Frank Rocco officiating. Mary Jane Kann, age 86, of Pittsburgh, died December 9, 2018, at Reformed Presbyterian Home of Pittsburgh. Born July 14, 1932, the daughter of the late Dr. Walter and Mrs. Almeda (Brandt) Kann. Elizabeth "Liz" Reist, age 62, of McKeesport, died December 8, 2018, at UPMC McKeesport. Born August 31, 1956, in Lancaster, PA, she was the daughter of the late Harry and Sarah (Harshberger) Reist and the fiance of Mark "Jakes" Jacobs. 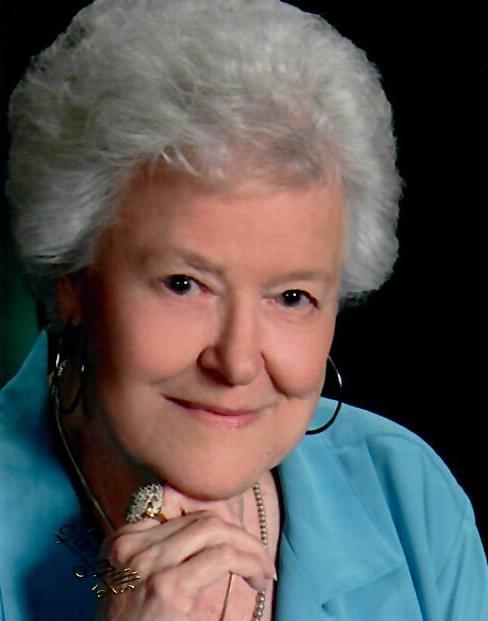 Dolores Wise, 78, of Elizabeth Township, passed away Sunday, December 9, 2018. She was born December 30, 1939 in Clairton and was the daughter of the late William and Helen (Kovka) Smith. 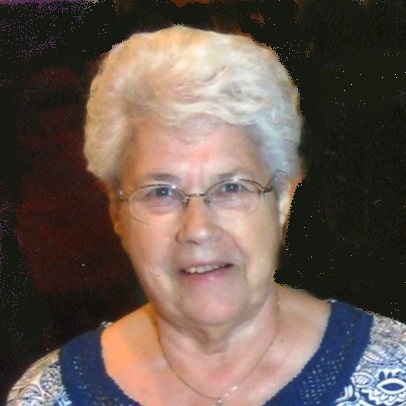 Dolores was a member of St. Michael Parish in Elizabeth Township. Her family was everything in the world to her. Annabelle (Flenner) Prough, 82, a resident of Westmoreland Manor, passed away there Saturday December 8, 2018. She was born May 8, 1936 in Pittsburgh, a daughter of the late Ernest and Annie (Wolfgang) Flenner and was also preceded in death by brothers Eugene, Ken, Bill, and Ernie Flenner. She was a member of Muhleman Memorial United Methodist Church, North Braddock. She is survived by her husband of over 62 years Richard J. Prough Sr.; her children Candy Omlor and her husband Garry of North Huntingdon and Dr. Rick Prough Jr. and his wife Julie of Bethel Park; her grandchildren; Ann Marie (Tim) Thompson of Whitehall, Cheryl (Sam) Colaianne and Brian (Kristen) Omlor both of North Huntingdon, Lauren (Eftakar) Alam of Virginia, Haley Prough of Bethel Park, and Saundra Joy DelGross of Texas; her great grandchildren; Em, Shay, Lori, Skylar, Vincent, Tabitha, Avery, Rylee, Noah James, and Cayden; sisters Joanne Kuzniewicz of Wisconsin and Blanche (Joe) Hachey and Nancy Lewis both of Maine; also nieces and nephews. Blaine Oliver Owens, 84, of Elizabeth Township, passed away Saturday, December 8, 2018. 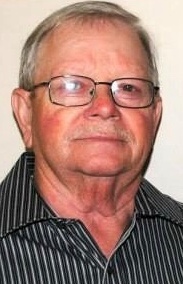 He was born May 29, 1934 in Glassport and was the son of the late Stewart Joseph and Olive (Cummins) Owens. Blaine was a member of the Liberty Presbyterian Church and was retired from the former G.C. Murphy Co. Warehouse in Christy Park. He was a US Army Veteran. Thomas J. Scheetz, age 88 of North Huntingdon, died Thursday, December 6, 2018. He was born July 26, 1930 in McKeesport, the son of the late William F., Sr. and Elizabeth Kurth Scheetz and the husband of the late Dorothy M. Raible Scheetz. He is survived by his son, Thomas (Ladonna) Scheetz of Johnsonburg, PA, daughter, Michaelette Coder of North Huntingdon; grandchildren, Ashley Coder (Scott) Spalding, Sikira Scheetz and Lloyd Thomas Scheetz; great-grandchildren, Taylor, Matt, Dilyn and Jase Spalding; brother and sister-in-law, Alvin C. (Kim) Raible of Greensburg and Gloria (Luke) Knapp of Dawson, PA, also several nieces and nephews. In addition to his wife, Thomas was preceded in death by his brothers William and John Scheetz. Florence Bentley, 91, of Elizabeth Township, passed away peacefully at home on Monday, December 3, 2018. She was born May 14, 1927 in McKeesport and was the daughter of the late John and Rosalie (Stroka) Jackowski. She is survived by her husband, Gerald L. Bentley, son, Gary E. (Glynis) Jordan of Peters Township, daughter, Cheryl M. Thomas of Butler, 3 grandchildren, nieces and nephews. She was preceded in death by her son, James R. Jordan who died November 22, 2017, sister, Clara Kovac, and brothers, Stanley, Edward, John, Leo, Richard, Edwin, and Thomas Jackowski. There is no visitation. David H. Potts, age 61 of McKeesport, died Thursday, December 6, 2018. He was born April 9, 1957 in Akron, Ohio and is the son of the late William E. and Gloria J. Tosi Potts. David is survived by his brothers, William E. (Kathleen) Potts of McKeesport, Joseph W. (Barbara) Potts of White Oak, Arthur W. (Susan) Potts of White Oak, Shawn (Kimberly) Potts of North Versailles; many nieces, nephews, great nieces, great nephews and a great-great niece. Lavonne Gertrude Sowers, age 91 of Monongahela, reunited with her husband and parents on Saturday, November 17, 2018. She was born October 25, 1927 in Monongahela, the daughter of the late Clyde Francis and Mildred Lewellyn Crookham, and wife of the late Norvelle James Sowers. She worked at First National Bank in Monongahela prior to becoming a full-time homemaker. Lavonne was a devoted member of the First Baptist Church in Monongahela. She loved caring for her grandchildren, shopping, watching Judge Judy, and she never missed an opportunity to cast her vote. A beloved mother, she is survived by her daughters, Vicki J. Lyons of McKeesport, Jeri S. (Paul) King of Monongahela, Penni (Michael) Cooper of Norton, OH, and Donna (Tracy) Ames of Fallowfield Twp., PA; grandchildren, William (Abbe) King of Leander, TX, Ann King of Allenwood, PA, Samuel and Zachary Ames of Fallowfield Twp. ; great-grandchildren, Alexander and Andrew King; nieces, Linda (Davis) Yohe and Natalie (Craig) Bowen; great nieces and nephews, Allison, Christopher, Ashley and Brody; and other nieces and nephews. She was preceded in death by her brother and sister-in-law, Harry E. and Jesse Crookham. Theresa K. Marino ("Terry", "Tee Dee", and recently, "Ti Ti"), 91, of North Versailles, passed away peacefully on December 5, 2018. She was born March 29, 1927, in Elwood, Indiana and was the daughter of the late Harold "Pete" and Mary Katherine (Dyer) Walman. 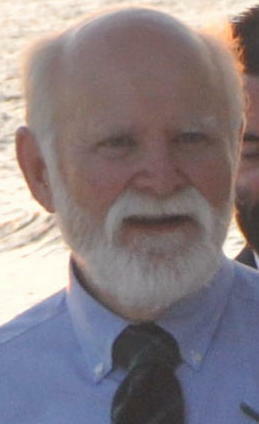 Terry was a member of Corpus Christi Parish. She was politically engaged and served at the election polls for more than 40 years. She was compassionate and social, and quick to make new friends. 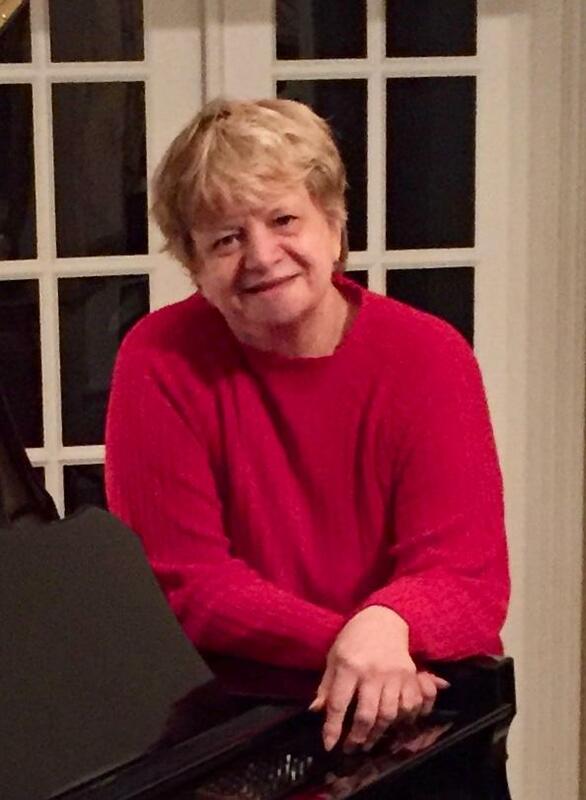 She worked as a pharmacist technician at Revco, a cashier at Marraccini's, and a caregiver for many years. Terry will be remembered as feisty, strong-willed, and a loving mother, grandmother, and friend of strong Catholic faith. Albert J. Vavra, age 71, of Duquesne, died November 21, 2018, from an accident on the McKeesport-Duquesne Bridge. Born January 18, 1947, he was the son of the late Albert J. and Theresa (Moran) Vavra. Clifford J. 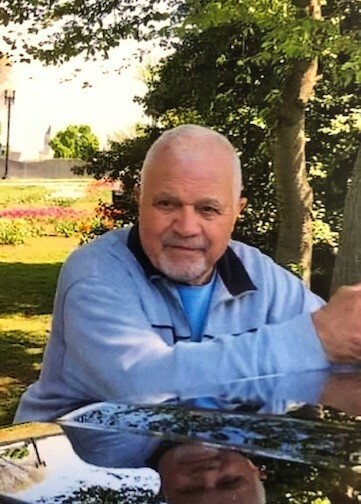 "Slim" Berry, 73, of Clairton, Pennsylvania, departed this life on Tuesday, December 4, 2018 in Southwestern Healthcare Center. Andrew L. Papson, Jr., age 79 of Clairton, passed away on Sunday, December 2, 2018 in Jefferson Hospital. Born June 15, 1939 in Elizabeth, he was a son of the late Andrew L. Papson, Sr. and Kathryn (Roberts) Papson. A US Army Veteran and past president of the I.U.E., Andrew retired as a mechanic for Liberty Poly Glass in West Mifflin and also worked as a greeter for WalMart in West Mifflin for 16 years. He gave of his time as a little league coach for many years, coaching the AllStar Travel team, and was an enthusiastic fan of Clairton Bears sports and the local, Pittsburgh pro teams. David A. Graham, age 77, of Elizabeth Twp., passed away on Sunday, December 2, 2018 at Jefferson Hospital. An Army veteran, he retired as a police officer and former police chief in Elizabeth Township. A member of Round Hill Presbyterian Church in Elizabeth Twp., he was a former president and board member of the Elizabeth Township Area Emergency Medical Services and a member of the Stephen Bayard Masonic Lodge No. 526 of Elizabeth. Born November 6, 1941 in Large, he was a son of the late Walter R. Graham Sr. and the late Margaret (Biddle) Graham, and husband of the late Kathy (Heil) Graham. 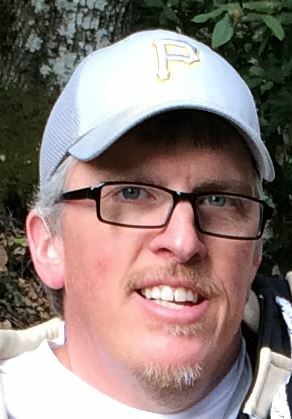 John Timothy Benedek, Jr., 41, of Elizabeth Township, died Friday, November 30, 2018. He was born June 5, 1977 in Jeannette and was the son of John T. (Joy A. ) Benedek, Sr. of North Huntingdon and the late Rosalie (Zaffuto) Benedek. John was co-owner of J & M Automotive Repair Service, LLC., in McKeesport. He was an avid hunter and fisherman, wonderful life-partner, loving son, super amazing father, great step-dad, pap pap and uncle. He was a great automotive restoration specialist, painter and mechanic. He enjoyed building R C cars for his son and family trips to the beach. John would help anyone, anytime, and was someone you could always count on. Florence E. Zolczer, age 87, of McKeesport, died November 30, 2018, at Family Hospice & Palliative Care of Mt. Lebanon. Born January 9, 1931, in Buena Vista, she was the daughter of the late Valentine and Josephine (Strohen) Stieman and the wife of the late Adolph F. Zolczer. 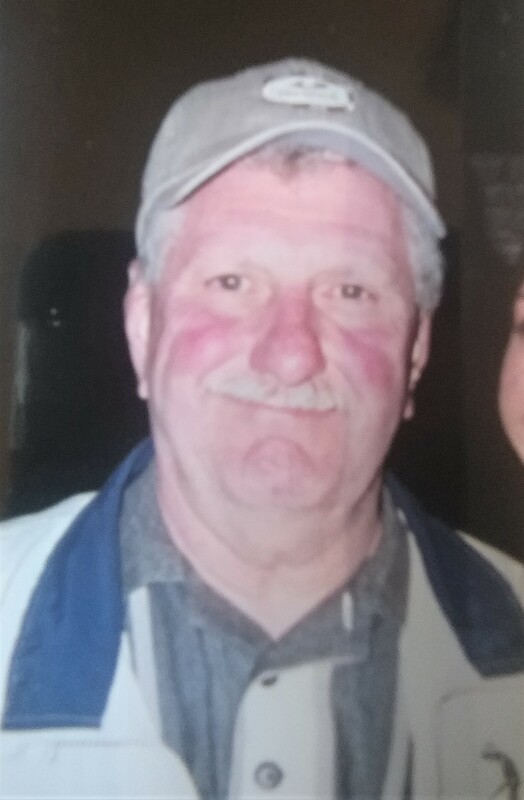 James L. Waugh, 70, of North Huntingdon, passed away Thursday November 29, 2018. He was born February 7, 1948 in McKeesport, the son of the late Lester and Louise (Schultz) Waugh. 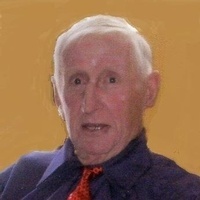 James was a retired employee of Alstom, Charleroi. He loved golf and bowling and was a big Steelers fan. He was always the practical joker. He is survived by his wife Kathy L. (Ralph) Waugh of North Huntingdon; his daughter Britt Waugh; his sister Trish Radican; sisters in-law Irene Johnson and Marion (Frank) Baker; brother in law Gomer (Arlene) Ralph; nieces Tara, Jamie, and Jess; and great nephews. Arvid H. Stitely, age 81, of North Versailles, passed away Saturday, December 1, 2018. He was born April 16, 1937 in Irwin, a son of the late Edward and Genevieve (Decker) Stitely. He worked for over 40 years at Fix’s Auto Body in North Huntingdon before retiring. He is survived by his loving wife of over 43 years Sharon (Sentesi) Stitely; daughter Amy Stitely of North Versailles; brother Edward; and sister Linda. Per his request, there will be no visitation or service. Arrangements handled by the Forgie-Snyder Funeral Home, 1032 Broadway, East McKeesport, 412-823-8083. Memorial contributions can be made to the American Diabetes Association at www.diabetes.org. To send flowers or a memorial gift to the family of Arvid H. Stitely please visit our Sympathy Store. Merle Judd, 97, of White Oak, passed away on Wednesday, November 28, 2018. He was born August 15, 1921 in McKeesport and was the son of the late David and Sally (Spitz) Judd. He was proprietor of Judd Refrigeration and was a US Army Veteran serving in WWII as a Corporal in the 27th Calvary. In 1945, he was seriously wounded in Okinawa, Japan and spent 7 months recovering in an Army Hospital. For his service, he received 2 Purple Hearts and the Medal of Honor. Merle was a member of White Oak American Post 701, and was a life member of the former Swinging Swedish Society. He is survived by his wife of 28 years, Shirley A. (Walker) Judd, son, David (Neva) Judd of Rogers, Arkansas, daughter, Jody Vavrek of Versailles, stepsons, Guy (Judy) Criado of White Oak, and Gregg (Mary) Criado of Elizabeth Township, 7 grandchildren, 3 great-grandchildren, nieces and nephews. 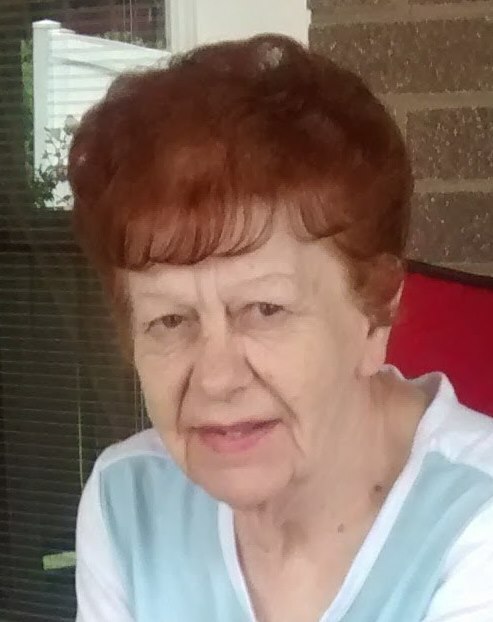 Saundra L. Moses, 72 of Glassport passed away peacefully Dec. 2, 2018. 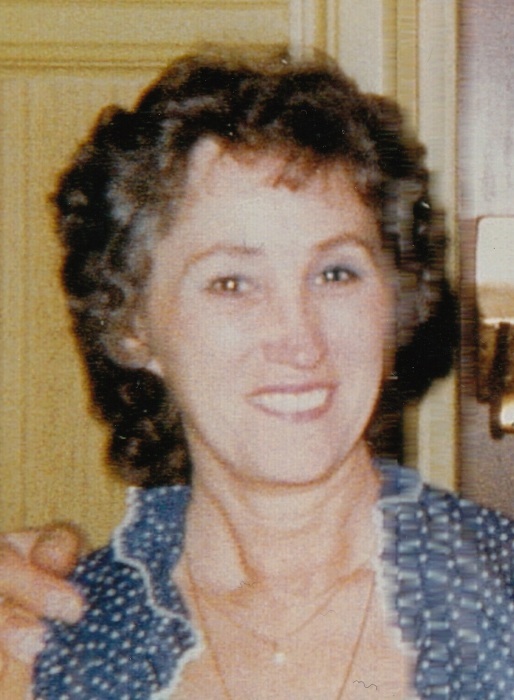 She is the daughter of the late Frank and Patricia “Pansy” Waratuke and is survived by her sons Phillip (Donna Sowerby) Moses and Tim Beck; grandchildren Brynn Richards and Evelyn Moses; great grandchildren Liam, Lenore, Brayden, Aria and Remi and brother Gary Waratuke also nieces and nephews. She was preceded in death by her brother David Waratuke. Saundra was retired from UPMC and also worked as a bander/welder for US Steel Irvin Works. Friends received Wojciechowski Funeral Home, Glassport Sat. Dec. 8, 2018 from 4 to 7:30, at which time a funeral service will be held. Thomas R. Schultz, age 92, of White Oak, died November 30, 2018, at The Palms At O'Neil, in McKeesport. Born March 25, 1926, in Duquesne, he was a son of the late John W. and Marie A (Steimer) Schultz and the husband of the late Frances (Orzechowski) Martin Schultz. Elsie J. Stroka, age 84, of White Oak, formerly of McKeesport, died Nov. 30, 2018, at her home. Born June 28, 1934, in Sagamore, she was a daughter of the late Emanuel and Mary Ann (Steish) Stroka. It is with great sadness but also rejoicing that the family of John L. “Monk” Willard, age 73, of Glassport, announces his passing into the arms of His Savior early on the morning of December 1, 2018. Sandra Booher Wootton, 80, of North Huntingdon passed away peacefully at her home surrounded by her loving family following a long illness. She was born on December 29, 1937 in Pitcairn, to the late Dorothy and Chester Booher. Sandra spent her life dedicated to her family and her community. In 1959 she graduated from California State Teaching College and began teaching in White Oak, then moved to the Norwin School District where she taught kindergarten and substituted for many years. She was also a Sunday school teacher and board member at Christ United Presbyterian Church and a Girl Scout and Boy Scout leader. She is survived by her loving husband of over 60 years, Enoch "Woody" Wootton; her children, Jeffrey (Shery) Wootton, Sharyl Dickie (the late Robert Dickie) and Cristine (David) Dempsey; grandchildren, Greg Thomas, Scott (Stephanie) Swanson, and Chelsea Dempsey; great-grandsons, Brenden and Owen Swanson; brother, Donald (Lana) Booher; numerous nieces and nephews; and her partner-in-crime, Max (Puggle). Friends will be received at the James W. Shirley Funeral Home, 176 Clay Pike, North Huntingdon on Monday from 2-4 and 6-8 p.m. A funeral service will take place on Tuesday at 11 a.m. in the funeral home chapel. During the service, there will be a time to share memories of Sandra. Interment to follow in Penn Lincoln Memorial Park. In lieu of flowers, donations may be made to Westmoreland County Food Bank. www.shirleyfuneralhome.com.